Sign up for this unique fall opportunity that allows your students to observe Earth from above via a camera on the International Space Station! The Sally Ride Earth Knowledge Acquired by Middle School Students (EarthKAM) program invites students to request images of specific targets on Earth taken by a camera placed in the window of the space station. 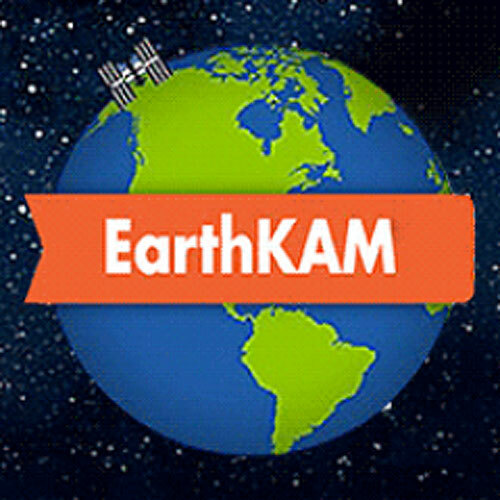 EarthKAM can be used in any K-12 classroom setting, and is a great way to show students a new perspective of Earth. 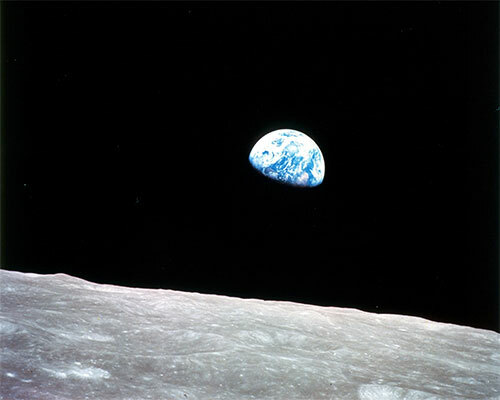 Visit https://www.earthkam.org/ to learn more and register for this free program. 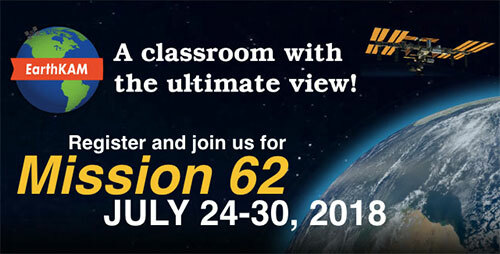 Find more ways to bring NASA into your classroom during NASA’s A Year of Education on Station, a celebration of a yearlong educator presence on the station. Join the NASA STEM Educator Professional Development Collaborative at Texas State University for a free 60-minute webinar. 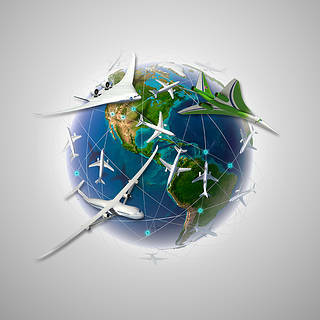 Learn about clouds and contrails with the NASA GLOBE Program. 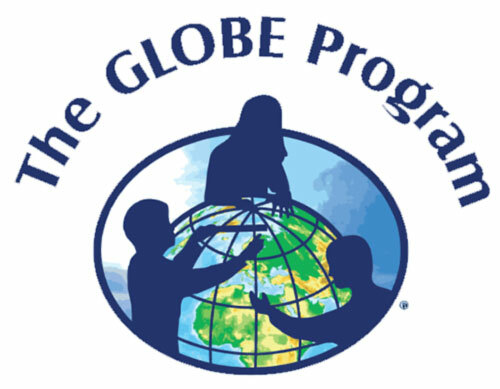 GLOBE is an international science and education program that provides students worldwide with the opportunity to participate in data collection and the scientific process, and contribute meaningfully to our understanding of the Earth system and global environment. Online registration is required. Join the NASA STEM Educator Professional Development Collaborative at Texas State University for a free 60-minute webinar. Participants will get an overview of resources discussing the effects of changing snow and ice coverage on the Earth from the Earth Observatory and NASA Earth Observations (NEO) websites. This webinar addresses the Next Generation Science Standards ESS2 and ESS3. Online registration is required. Join the NASA STEM Educator Professional Development Collaborative at Texas State University for a free 60-minute webinar. 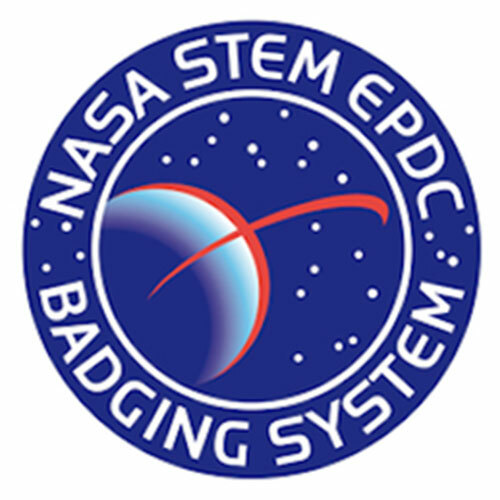 Participants will get an overview of the Digital Badging platform used by NASA Educator Professional Development Collaborative to deliver free, asynchronous, online professional development. Discussions will include how to sign up and a survey of current badge offerings. Online registration is required. Join the NASA STEM Educator Professional Development Collaborative at Texas State University for a free 60-minute webinar. Explore Earth science through the eyes of astronauts and satellites. Learn how observations from space enable us to better understand Earth and the processes that shape it. NASA missions, real data, online resources and classroom lessons, will be used to investigate our planet. Online registration is required. 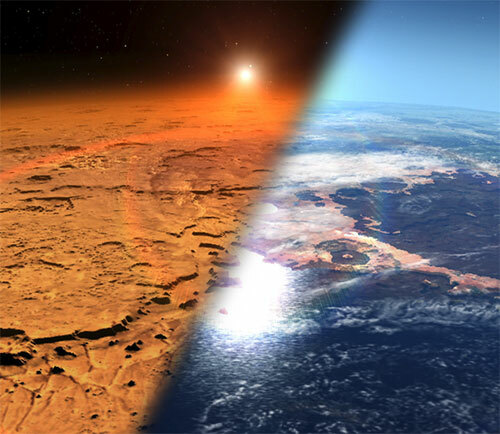 Mars Atmosphere and Volatile Evolution (MAVEN) Outreach Webinars are virtual gatherings of staff from the MAVEN mission to offer professional development for formal and informal educators, and others interested in MAVEN and Mars science. Join Dr. Christina O. Lee of the UC Berkeley Space Sciences Laboratory to hear the latest MAVEN news and learn how strong solar activity in September 2017 impacted the space environment around Mars, including its atmosphere and the radiation environment at the surface. Join the NASA STEM Educator Professional Development Collaborative at Texas State University for a free 60-minute webinar. Are you working on implementing a new vision for science classrooms based on the Framework for K-12 Science classrooms in which teachers support students in science and engineering practices to build and use science ideas to solve real problems? This webinar will explore NASA resources that will guide you and your students through this process with authentic data. Online registration is required. Join us at the visitor center at NASA’s Ames Research Center in Moffett Field, California, for Smithsonian magazine’s Museum Day 2018. Ames is a key facility for NASA’s missions and projects. 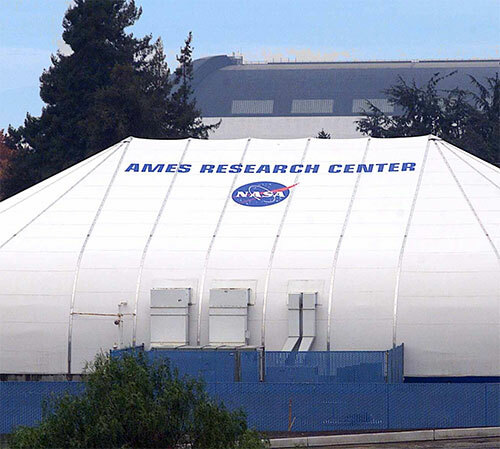 Come to NASA’s Ames Visitor Center and learn what we’re doing at this amazing NASA facility! Museum Day 2018 will showcase “Women Making History: Trailblazers in arts, sciences, innovation and culture.” Click here for directions. 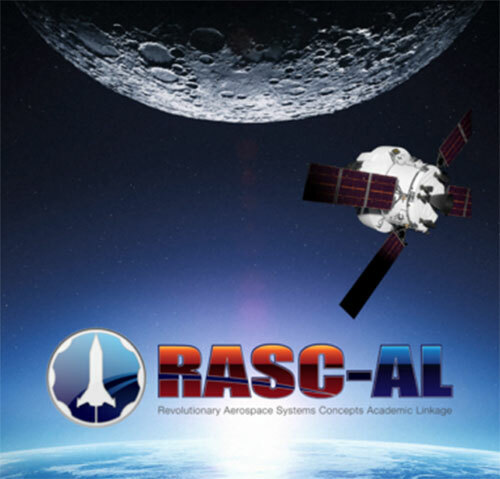 The 2019 Revolutionary Aerospace Systems Concepts—Academic Linkages (RASC-AL) invites teams of university students to respond to one of four themes with creative ideas to improve our ability to access and explore cis-lunar space via the Gateway: 1. Gateway Logistics as a Science Platform, 2. Gateway-based Cis-lunar Tug, 3. Gateway-based Human Lunar Surface Access, 4. Gateway Uncrewed Utilization and Operations. Up to 14 teams will be chosen to participate in a competitive design review at the RASC-AL Forum in June 2019. 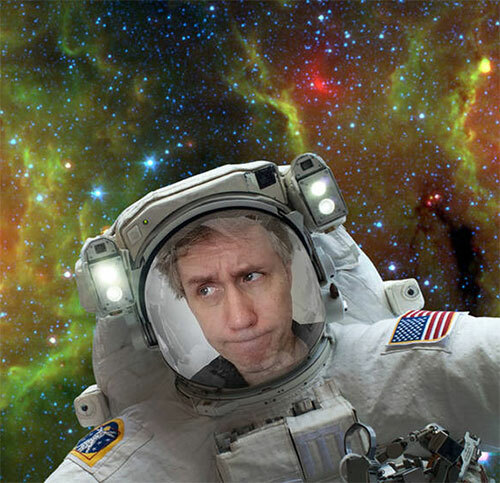 Create your own selfies from outer space! 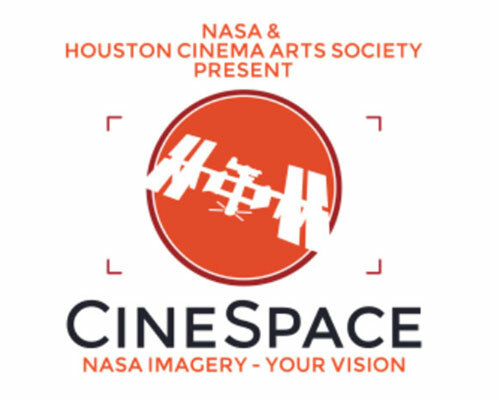 “NASA Selfies” lets you put your photo in a virtual spacesuit in front of captivating images from NASA’s Spitzer Space Telecope. 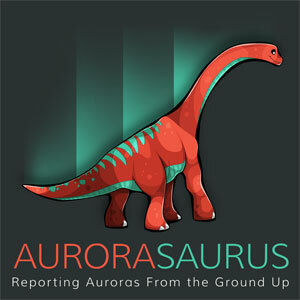 (Images from other NASA missions will appear in future versions of the app.) 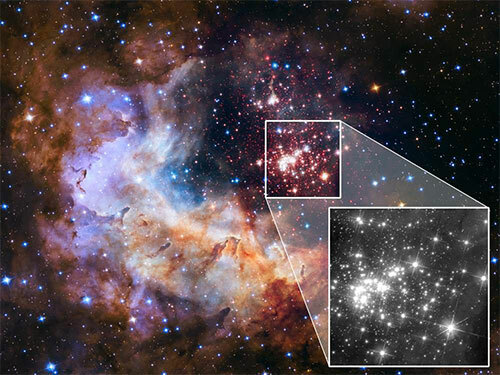 Share these space selfies on social media, and learn about the science behind the pictures. Available for iOS and Android devices. 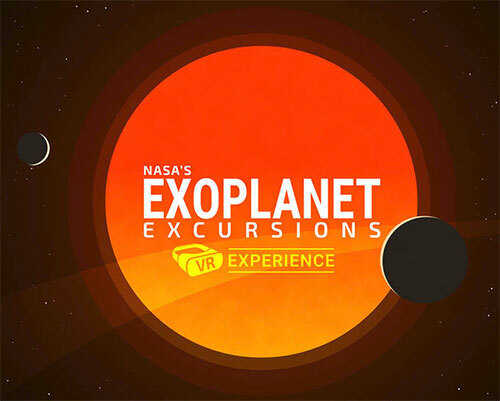 In NASA’s “Exoplanet Excursions” virtual reality (VR) app, VR users are taken on a guided tour of the only known exoplanet system to host seven planets that are roughly Earth-size. Users of the app are navigated around five of the seven planets, surrounded by the blackness of space and the faint lights of distant stars. The VR app is available for Oculus and Vive. 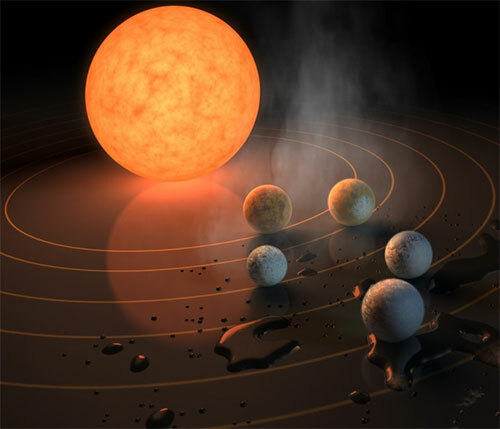 A 360-degree video is also available on Youtube that allows viewers to explore the virtual TRAPPIST-1 system on their desktop computers, smartphones or with a smartphone-based 360-viewer. 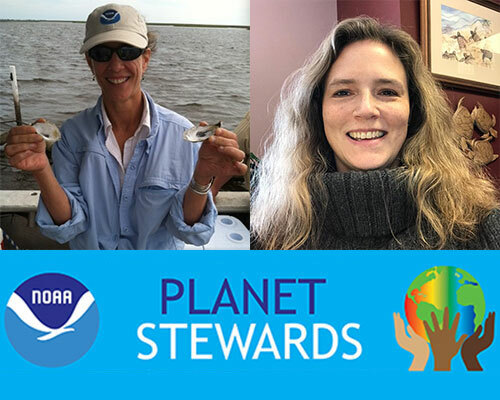 Join the NASA STEM Educator Professional Development Collaborative at Texas State University for a free 60-minute webinar about the NASA Global Learning and Observations to Benefit the Environment (GLOBE) Program. This worldwide, hands-on school-based science education program for grades 6-12 promotes problem solving, communication skills and teamwork while engaging students in problem-based learning that is both fun and relevant. Teacher implementation guides, protocols, activities and resources are integrated in this webinar. Online registration is required. 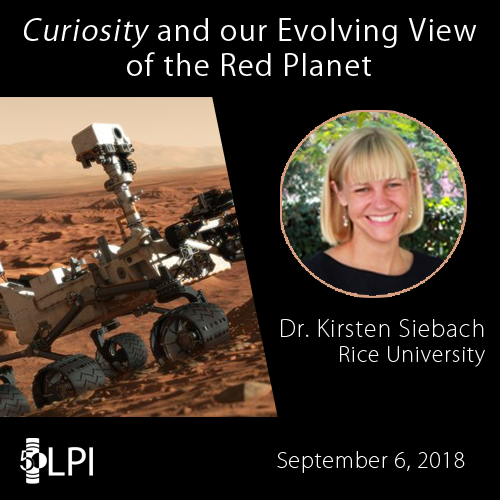 The Lunar and Planetary Institute presents “Curiosity and Our Evolving View of the Red Planet” by Dr. Kirsten Siebach of Rice University. 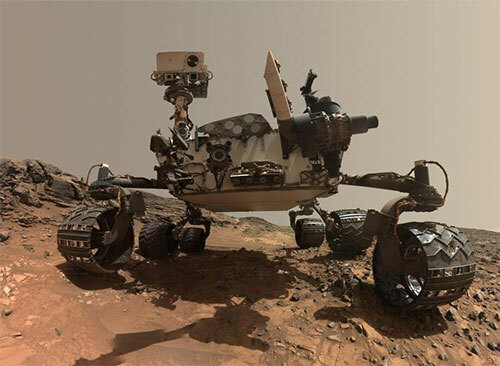 Dr. Siebach is also a member of the Curiosity rover team and will discuss how our knowledge of the surface of Mars has changed over the past 50 years of exploration. Attend the event in person at the Lunar and Planetary Institute in Houston, Texas, or watch the event live online. Archives of past lectures also are available online. Space exploration has changed in the 60 years since NASA’s inception. Despite all the advances, one thing hasn’t changed: we still rely on robotic spacecraft to explore and blaze a trail for human explorers. Join outreach specialist Preston Dyches for a panel discussion on the history and progression of robotic exploration. Attend the lectures in person, or view Thursday’s lecture via live webcast. Join the NASA STEM Educator Professional Development Collaborative at Texas State University for free 60-minute webinar about the Sally Ride EarthKAM program. 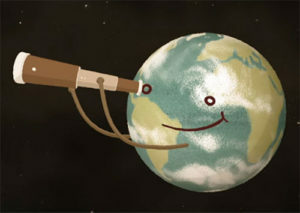 Find out how your students can learn about Earth from the unique perspective of space. During Sally Ride EarthKAM missions, students worldwide request images of specific locations on Earth. 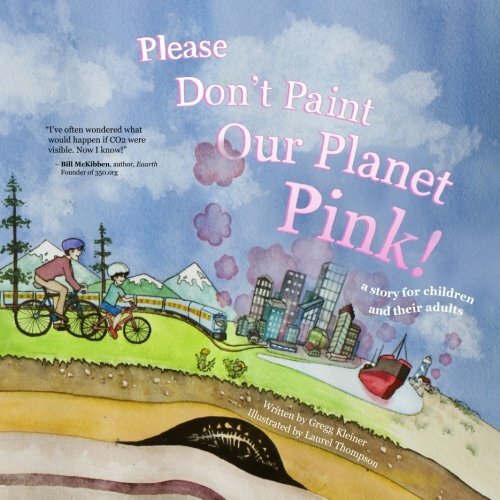 This image collection and accompanying activities are extraordinary resources to engage students in Earth and space science, geography, social studies, mathematics, communications and art. Online registration is required. NASA’s Glenn Research Center in Cleveland, Ohio, offers 45-minute tours that take tourists behind the scenes to one of the center’s test facilities. 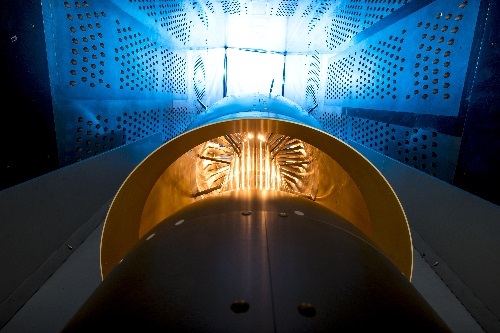 On Oct. 13, tour the 8- by 6-foot Supersonic Wind Tunnel, which has contributed to decades of aeronautic research and is testing models for the next generation of supersonic aircraft. A bus departs from NASA’s main gate every hour beginning at 9 a.m. The last tour departs at noon. RESERVATIONS are required. 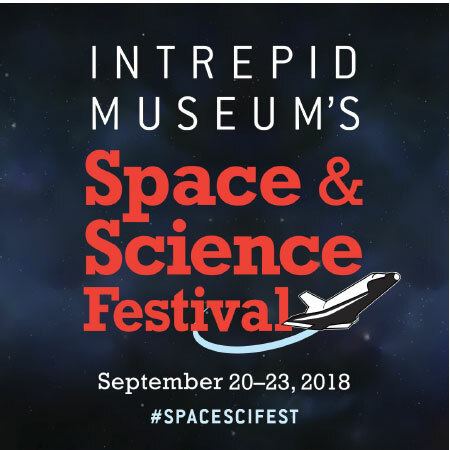 Join the Intrepid Sea, Air & Space Museum in New York City for its annual Space and Science Festival. Meet astronauts, explore exhibits from NASA, stargaze on the ship and more during four days of out-of-this-world exhibits. 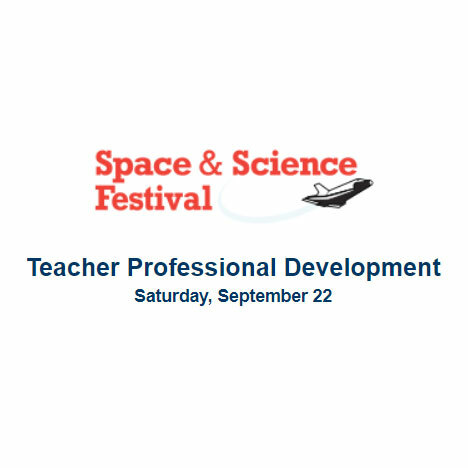 Join the Intrepid Sea, Air & Space Museum in New York City for its annual Space and Science Festival Teacher Professional Development. Tour the museum and attend presentations from guest speakers and presenters from NASA and educational organizations. Attend sessions featuring demonstrations of STEM concepts and resources, learning activities and discussions with experts. Visit the site to register in advance. Teams of high school students are challenged to program small satellites called Synchronized Position Hold, Engage, Reorient, Experimental Satellites (SPHERES) that operate inside the International Space Station. Teams send their final codes to the space station, where an astronaut referees the final competition live! Early registration is strongly encouraged because code for the 2D practice competition must be submitted by Sept. 28, 2018. The seventh annual International Space Apps Challenge invites tech-savvy innovators, scientists, entrepreneurs, designers, artists, educators and students worldwide to use NASA data to develop projects related to this year’s theme: “Earth and Space!” In response to challenges issued by NASA, Space Apps participants collaborate to create solutions from mobile applications, software, hardware and data visualizations to videos, games and art. Visit the website for updates and registration information! 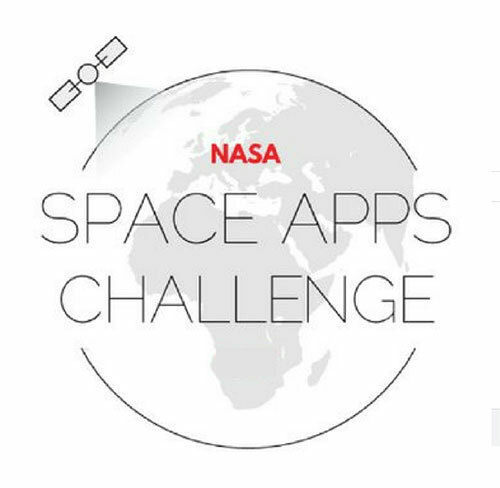 You can also apply to host a Space Apps in your area (host application closes Aug. 24). Have you ever wondered how astronauts aboard the International Space Station get a constant supply of drinking water? 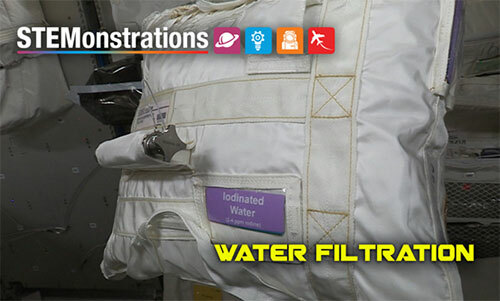 The water filtration system in the space station plays a key part in crew survival. In this new episode, Expeditions 56 Commander Drew Feustel discusses the water recovery system used to recycle crew waste water for consumption. Use the lesson plan accompanying this video to allow students to design, build and test their own water filtration device. Be sure to visit https://www.nasa.gov/stemonstrations for more educational videos using microgravity aboard the International Space Station. 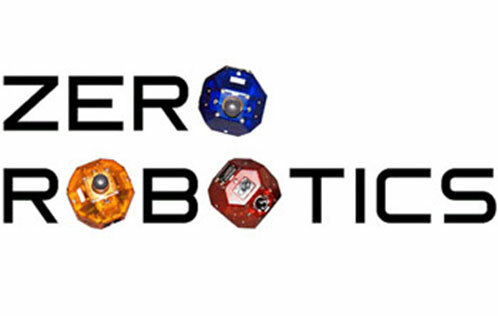 Join the NASA STEM Educator Professional Development Collaborative at Texas State University for a free 60-minute webinar about robotics. Robots are a part of everyday life, but what exactly are they? 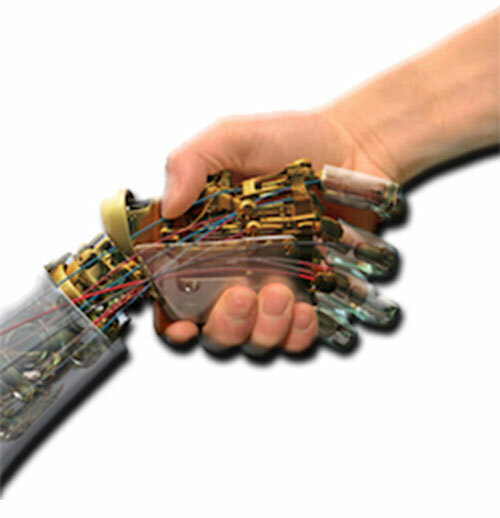 How are robots used in our lives? How are they used at NASA? Explore answers to these questions, and learn how to use robotics inexpensively in your classroom by integrating NASA STEM robotic missions, curriculum and online resources. Online registration is required. The NASA Visitor Center at NASA’s Wallops Flight Facility in Virginia is offering free educational programs for visitors of all ages. Programs are scheduled each Wednesday, Friday and Saturday throughout July and August. 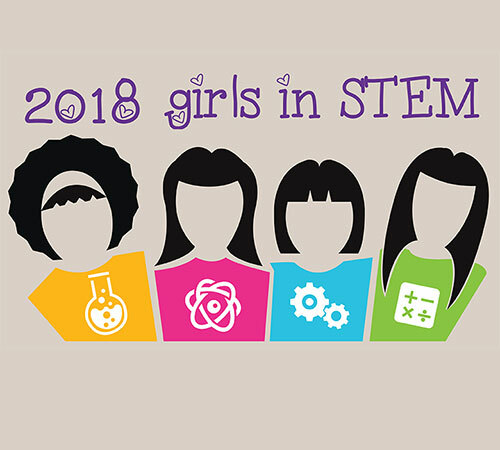 Programs include solar system tours, “Science on the Sphere” presentations, hands-on STEAM Labs, and rocketry. Scout troops, home school and youth groups are encouraged to attend. Please call ahead for group larger than eight people. NASA’s Psyche Mission invites full-time, enrolled undergraduate students in any major from universities and community colleges in the U.S. and its territories to apply to become part of this year’s cohort of Psyche Inspired interns! 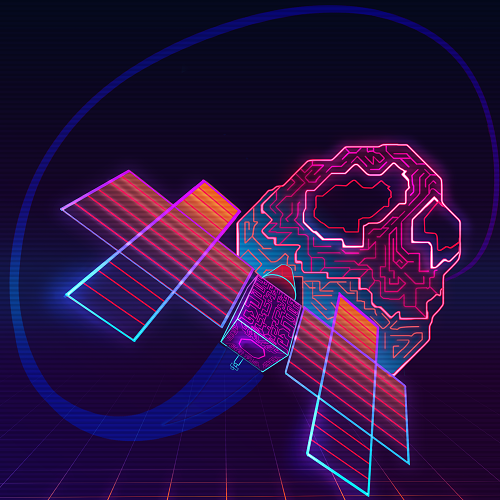 Psyche Inspired is a program that brings undergraduate students together to share the excitement, innovation, and scientific and engineering content of NASA’s Psyche mission with the public through artistic and creative works. The 50th anniversary of the Apollo 11 Moon landing offers an opportunity to reflect on what we know about the Apollo era and its legacies. The National Air and Space Museum Space History Department and NASA History Division invite colleagues whose research and writing extend our understanding of Apollo, the Apollo era, human spaceflight, future space and related areas to join together in assessing the current state of the field, suggesting new lenses for analysis and interpretation, and considering new paths for future scholarship. 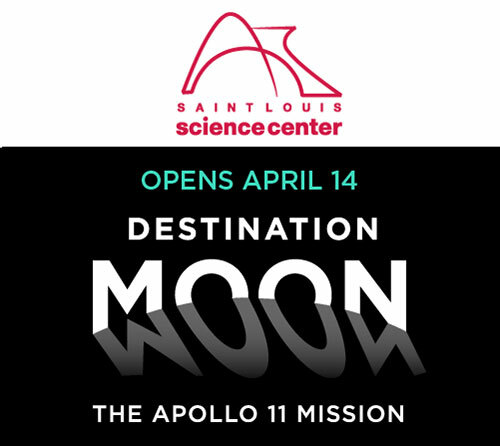 The Saint Louis Science Center is the second of four stops for a new exhibit featuring the Apollo 11 command module. 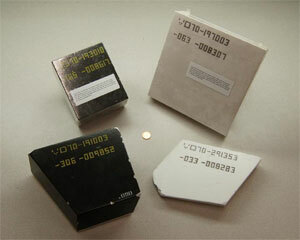 The exhibit will feature more than 20 one-of-a-kind mission artifacts. 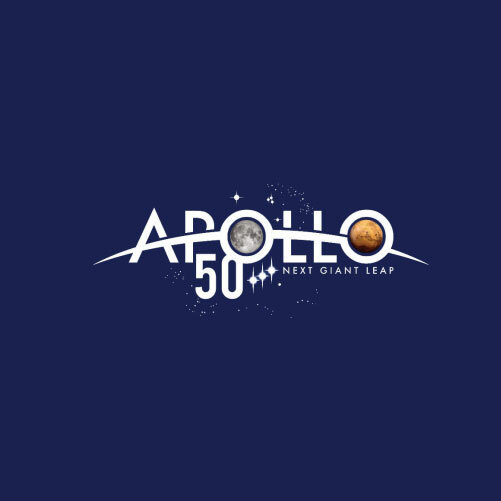 They include a lunar sample return container; astronaut Buzz Aldrin’s extravehicular visor and gloves; astronaut Michael Collins’ Omega Speedmaster Chronograph; a star chart; a survival kit; and more. Join the NASA STEM Educator Professional Development Collaborative at Texas State University for a free 60-minute webinar about water and the hydrologic cycle. NASA’s researchers, airborne missions and fleet of satellites address some of the critical challenges facing our planet today. 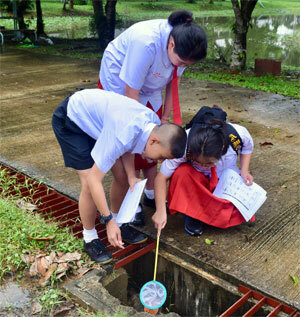 Explore ways to take part via citizen science as part of the Global Learning and Observations to Benefit the Environment (GLOBE) Program, an international science and education program that provides students and the public worldwide with the opportunity to participate in data collection and the scientific process. Online registration is required. Join the NASA STEM Educator Professional Development Collaborative at Texas State University for a free 60-minute webinar to explore how Earth is influenced by the Moon. NASA has been studying our Moon for 60 years and will soon celebrate the 50-year anniversary of humans’ arrival to the Moon during the Apollo program. Explore the Earth-Moon relationship and learn to integrate NASA STEM missions, online resources and lessons into your classroom teaching. Online registration is required. Engineering design challenges are an exciting way to give students the opportunity to work on real-world challenges in a collaborative, team-based environment. 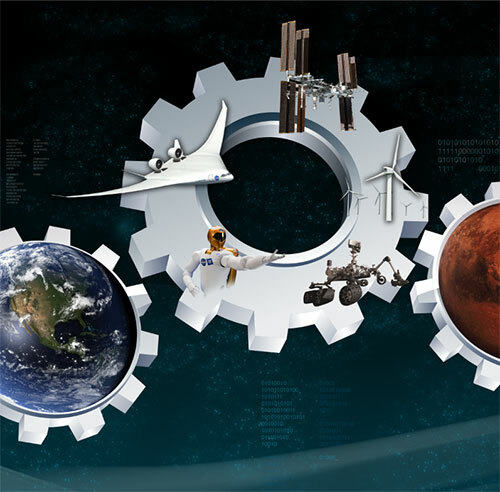 Glenn Engineering Design Challenges connect students, in both classroom and out-of-school settings, with the distinct challenges faced by NASA scientists and engineers as they design the next generation of aeronautic and space vehicles, habitats and technology. Current challenges include Powered and Pumped Up, Let It Glide and Gaining Traction on Mars. 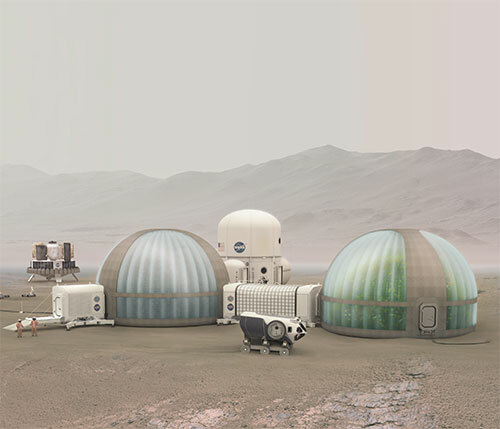 NASA’s 2019 Breakthrough, Innovative and Game-changing (BIG) Idea Challenge seeks innovations in the design and operation of a Mars Greenhouse. Multidisciplinary teams are encouraged. Top teams present their concepts via a design review at NASA’s Langley Research Center in Virginia. Eligible students on teams that advance to the BIG Idea Forum will have the opportunity to compete for one of five NASA summer internship slots. CosmoQuest’s Image Detective, a NASA-funded citizen science project, invites the public to identify Earth features in photographs taken by astronauts aboard the International Space Station. 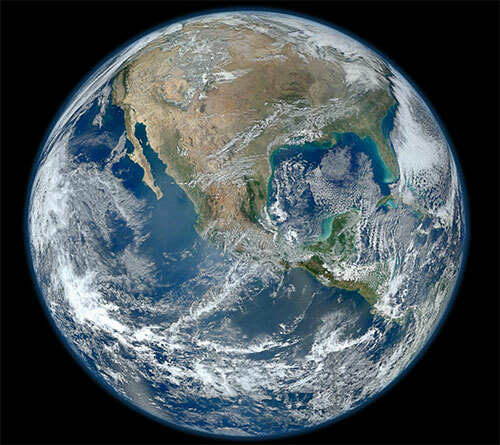 Citizen scientists are asked to help identify geographic features (natural or human-made) in astronaut photographs and then determine the location on Earth where the photo is centered. 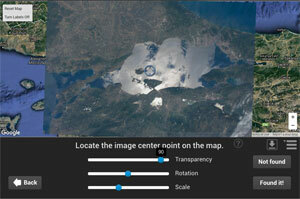 Your efforts can enhance NASA’s database of images taken by astronauts from the space station. 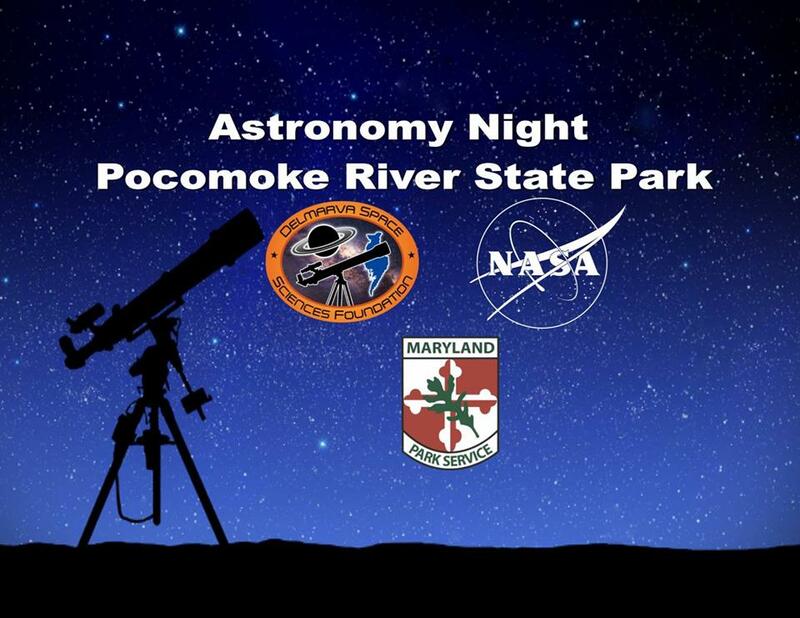 Join the NASA Visitor Center at NASA’s Wallops Flight Facility, the Delmarva Space Sciences Foundation and Pocomoke River State Park for an evening of astronomy. The event will begin at 8 p.m. EDT with an Astronomy 101 presentation, followed by stargazing with high-powered telescopes. The event is free and open to the public. No registration is required. Attendees are encouraged to bring binoculars. Give your students the opportunity to see Earth from the perspective of #TeacherOnBoard Ricky Arnold on the International Space Station! The Sally Ride Earth Knowledge Acquired by Middle School Students, or EarthKAM, program invites students to request images of specific targets on Earth taken by a camera placed in the window of the space station. Because EarthKAM participation is not restricted to a particular time of day, it’s perfect for summer camp programs and community youth organizations. Visit https://www.earthkam.org/ to learn more and sign up for this free program. Join the NASA STEM Educator Professional Development Collaborative at Texas State University for a free 60-minute webinar. Explore the Environmental Control and Life Support Systems on the International Space Station and associated video and activity resources. Treating the space station as a small scale ecosystem will be discussed. This webinar addresses the Next Generation Science Standards LS2.B and LS2.C. Online registration is required. Join the NASA STEM Educator Professional Development Collaborative at Texas State University for a free 60-minute webinar. 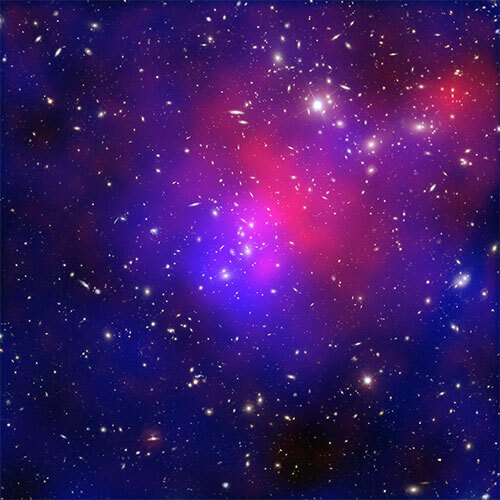 Explore dark energy and matter, and discuss their significance in cosmology and physics. Learn about linking these concepts to physical science and Earth space science standards. The activities address the Next Generation Science Standards PS2, PS3, PS4 and ESS1. Online registration is required. NASA’s Global-scale Observations of the Limb and Disk (GOLD) mission has been placed into its geostationary orbit and will soon begin capturing unprecedented images of Earth’s interface to space. 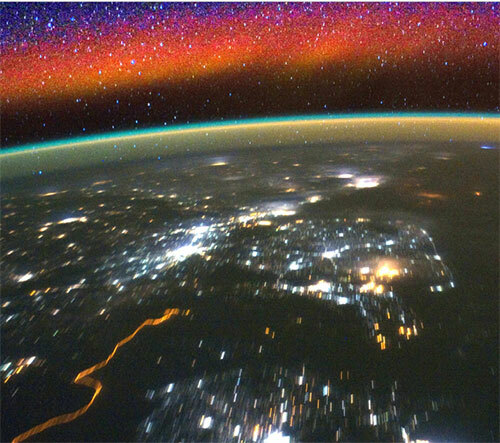 Join GOLD scientist Stan Solomon to learn how the GOLD instrument—an ultraviolet imaging spectrograph—will measure the response of Earth’s upper atmosphere to changes in solar activity. Join the NASA STEM Educator Professional Development Collaborative at Texas State University for a free 60-minute webinar. 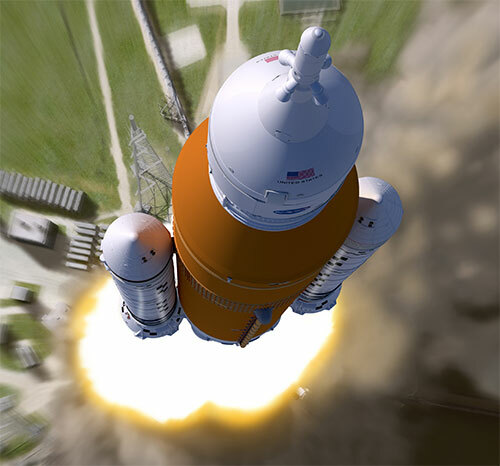 Blast off into learning by exploring the math and science of rockets with NASA missions and STEM classroom resources. 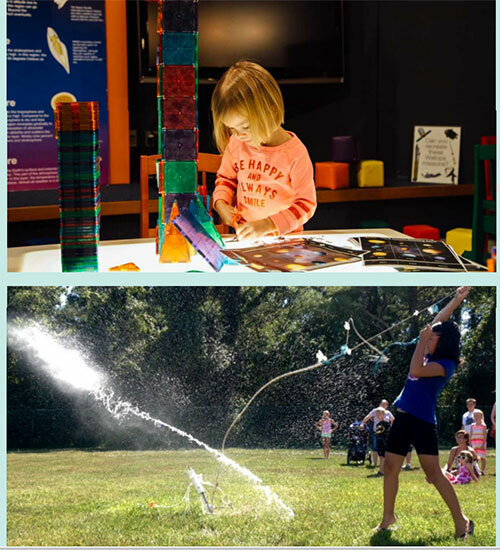 Launch your students’ interest and excitement in forces and motion with inquiry-based rocket activities and design challenges that include designing, building and launching simple rockets. Online registration is required. 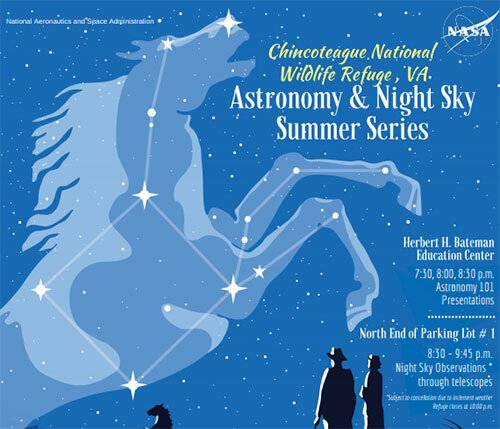 Join NASA’s Wallops Flight Facility in Wallops Island, Virginia for the Astronomy and Night Sky Summer Series, and discover the night sky from Assateague Island National Seashore, Virginia District. This special event corresponds with the Perseid Meteor Shower and begins with an Astronomy 101 presentation. Afterwards, participants will look for meteors and stargaze with telescopes (weather permitting). The event is free and open to the public; however, refuge entrance fees apply. Join the NASA STEM Educator Professional Development Collaborative at Texas State University for a free 60-minute webinar. 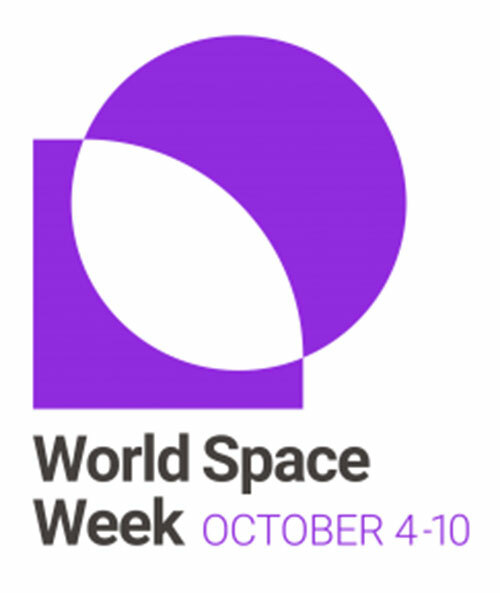 Investigate the harsh environment of space, the critical role spacewalks play in human space exploration and how spacesuits are designed to protect astronauts from the harsh space environment. NASA STEM classroom lessons, online resources and teaching strategies will be integrated into this walking with the stars webinar. Online registration is required. 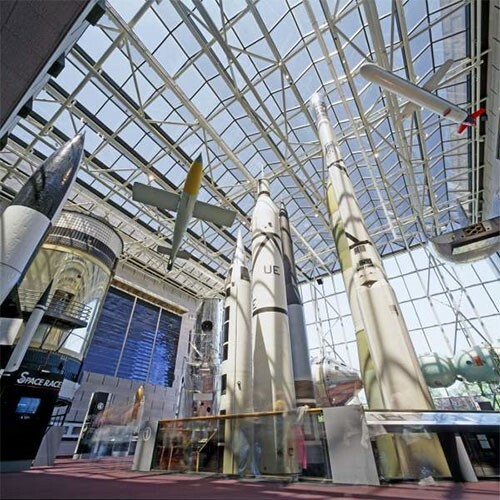 Visit the Smithsonian’s National Air and Space Museum in Washington, D.C., to celebrate “Mars Day! 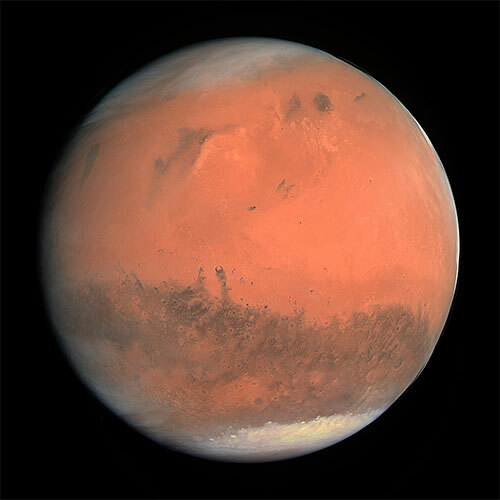 2018.” This annual event celebrates the Red Planet with a variety of educational and fun family activities. Visitors may talk to scientists conducting Mars research and learn about current and future missions. Join the NASA STEM Educator Professional Development Collaborative at Texas State University for a free 60-minute webinar. 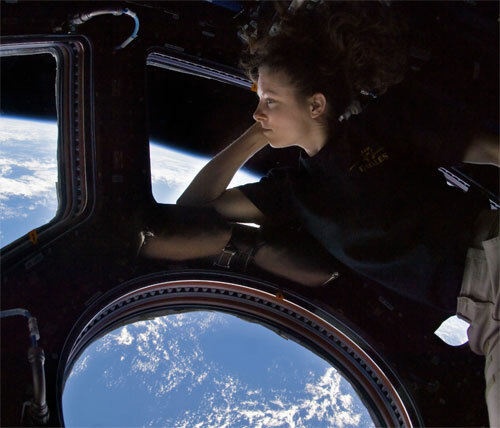 Have you ever wondered what it would be like to live and work in space? Follow astronauts on the International Space Station in a series of videos as they explain their daily routines. Educators can use these videos and resources to enhance K-12 science, technology, engineering and mathematics curricula. Online registration is required. Join the NASA STEM Educator Professional Development Collaborative at Texas State University for a free 60-minute webinar. Explore an overview of math problems that give an authentic glimpse of modern science, engineering and actual research data from NASA missions that explore signs of life beyond Earth. Online registration is required. 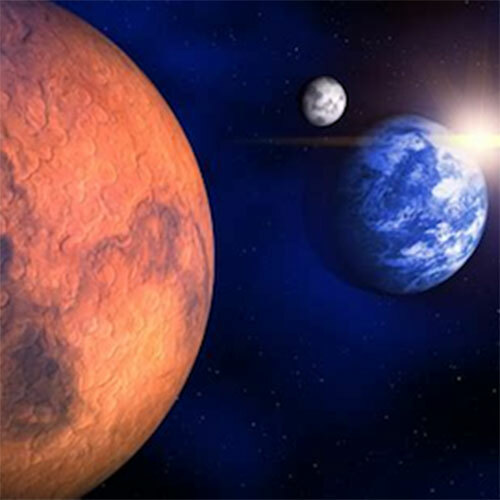 Mars Atmosphere and Volatile Evolution (MAVEN) Outreach Webinars are virtual gatherings of staff from the MAVEN mission to offer professional development for formal and informal educators, and others interested in MAVEN and Mars science. 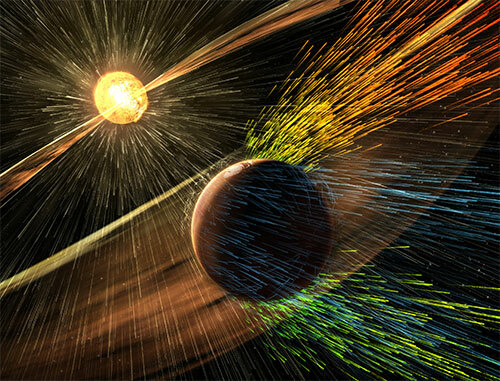 Join MAVEN co-investigator Dr. Robert Lillis of the UC Berkeley Space Sciences Laboratory to hear the latest MAVEN news and learn about the challenges of re-creating a thicker Martian atmosphere. 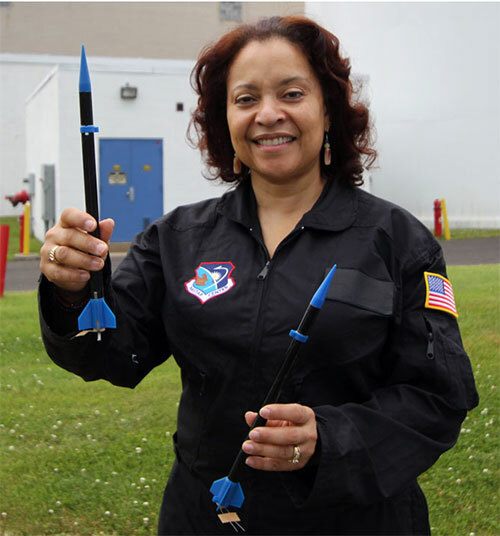 The National AeroSpace Training and Research (NASTAR) Center in Southampton, Pennsylvania, is hosting a series of teacher professional development programs during July. Here’s your chance to experience acceleration in a centrifuge, pilot an airplane simulator or explore the gas laws in an altitude chamber. Each one-day workshop is worth eight hours of continuing education. Visit the website for a list of workshop dates and to download a registration packet. NASA’s Space Technology Mission Directorate is seeking to invest, via research institutes, in university-led, multidisciplinary basic research and technology development within particular areas of strong interest to NASA and the aerospace community. Typically, an awarded institute will be funded up to $15M for a five-year period. 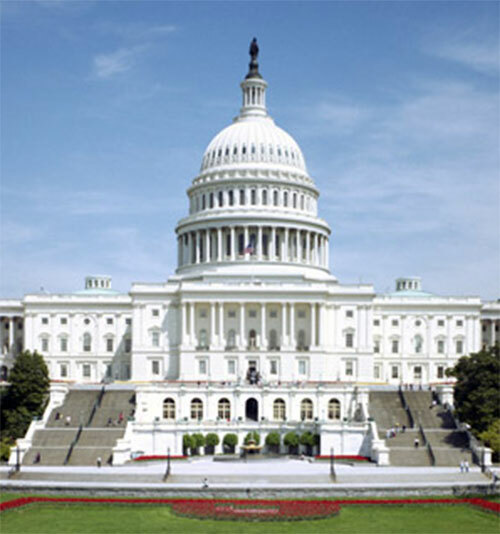 Accredited U.S. universities are eligible to submit proposals; teaming with other universities is required, and teaming with nonprofit entities and industry is permitted. 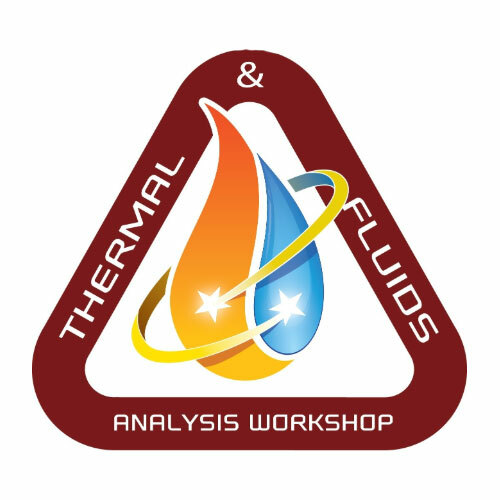 The Thermal and Fluids Analysis Workshop encourages knowledge sharing, professional development, and networking within the thermal and fluids engineering community across NASA, academia, and the greater aerospace industry. 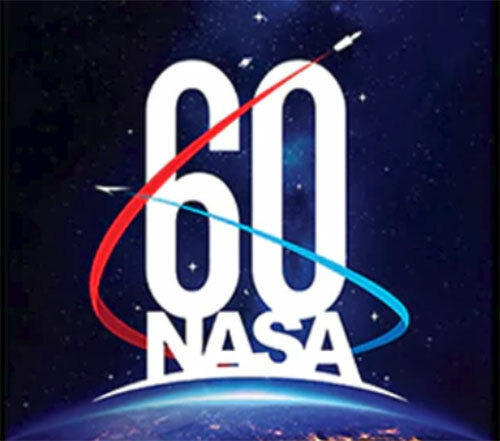 NASA will host this year’s free workshop in Galveston, Texas. STEM faculty and university students are welcome. 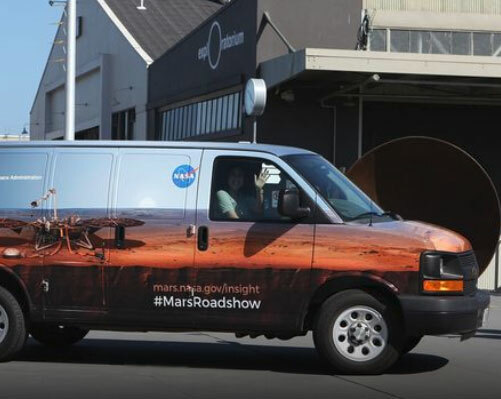 Scientists and engineers working on NASA’s InSight Mission are bringing the Mars InSight Roadshow to the San Diego Air & Space Museum in California. The roadshow brings family friendly science activities, exhibits and discussions to communities throughout California. Stop by to chat with NASA scientists and engineers, learn about marsquakes and find out how InSight will study in-depth the inner space of Mars: its crust, mantle and core. More than 70 percent of our planet is covered by water. It is crucial for life and has many unique properties. One of these is surface tension. While this force-resistant behavior can be observed on Earth’s surface, it becomes a spectacle in the microgravity environment of the International Space Station. In the latest episode of STEMonstrations, astronaut Ricky Arnold demonstrates how surface tension affects life on orbit, and how water molecules bond to one another. The coinciding classroom connection can be found at https://www.nasa.gov/stemonstrations, and is a great way to engage students in a fun STEM activity! Find more ways to bring NASA into your classroom during NASA’s A Year of Education on Station, a celebration of a yearlong educator presence on the International Space Station. Join the NASA STEM Educator Professional Development Collaborative at Texas State University for a free 60-minute webinar. 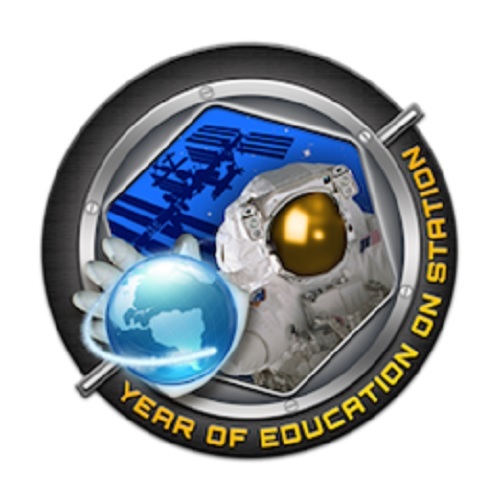 Learn about the International Space Station—Year of Education on Station, a celebration of a yearlong educator presence on the International Space Station. 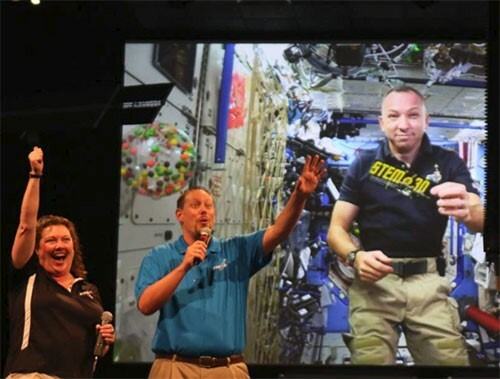 Find out more about classroom teachers-turned-astronauts Joe Acaba and Ricky Arnold. 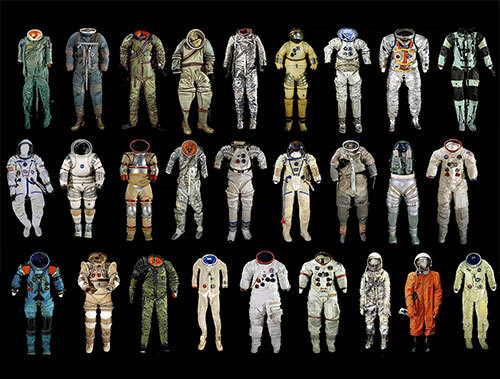 Then, explore how pressure suits are used to protect pilots and astronauts during flight and space walks. Online registration is required. Join the NASA STEM Educator Professional Development Collaborative at Texas State University for a free 60-minute webinar. 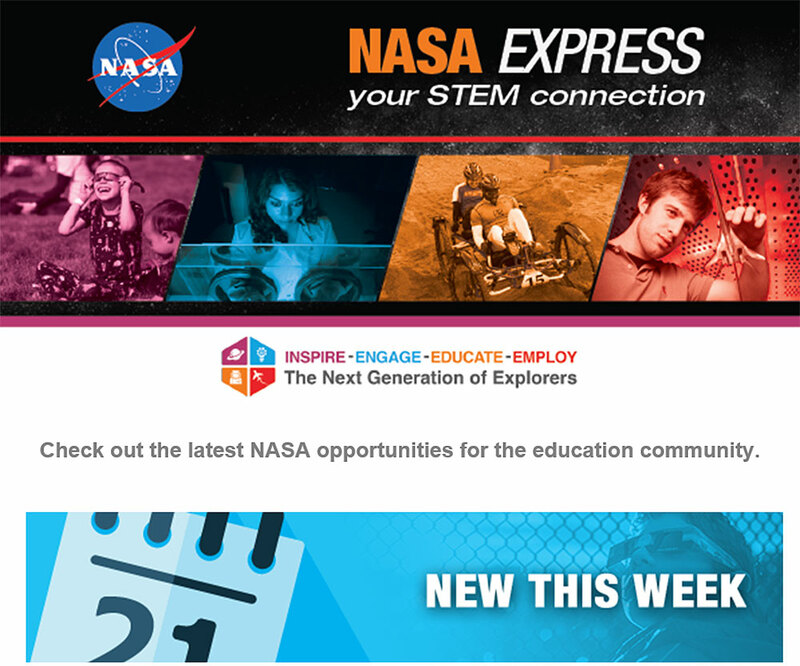 Explore NASA STEM resources such as Space Place, Climate Kids, NASA Wavelength, My NASA Data, The Global Learning and Observations to Benefit the Environment (GLOBE) Program, Space Math and Exploring Ice. Online registration is required. 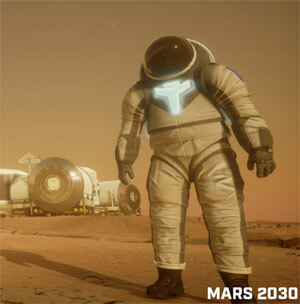 Researchers at NASA’s Operations Laboratory are spearheading several ambitious projects applying virtual and augmented reality to space exploration. Join operations lab lead Victor Luo from NASA’s Jet Propulsion Laboratory to learn how engineers are using 3D designs to explore Martian terrain, prepare astronauts for spacewalks and more. Attend the lectures in person, or view Thursday’s lecture via live webcast. Is a large planet at the fringes of our solar system awaiting discovery, a world astronomers call Planet Nine? NASA scientists are looking for this planet and for new brown dwarfs in the backyard of the solar system. But they need your help! Finding these dim objects requires the human eye to comb through the images. Participants in this citizen science project will share the credit for their discoveries in any scientific publications that result from the project. 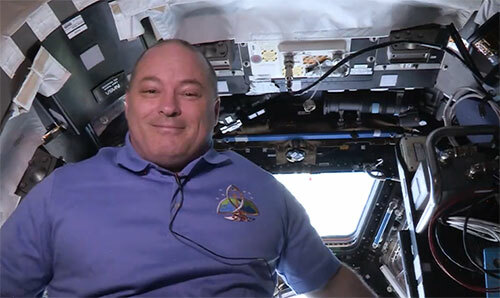 Take a Ride in Orbit With Astronaut Scott Tingle! 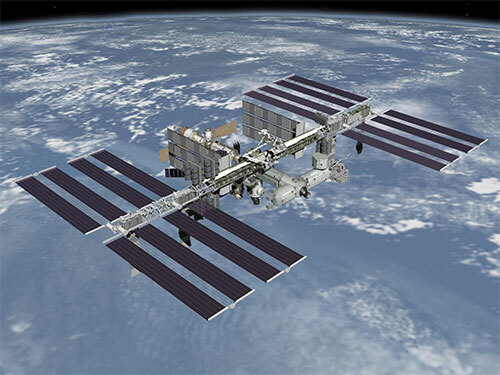 Do your students want to know how high the International Space Station flies? Are they fascinated by the science of satellites in orbit? Your students will love the latest episode of STEMonstrations! Astronaut Scott Tingle demonstrates the movement of objects around Earth, while guiding viewers through calculations of the space station’s velocity and orbital circumference. 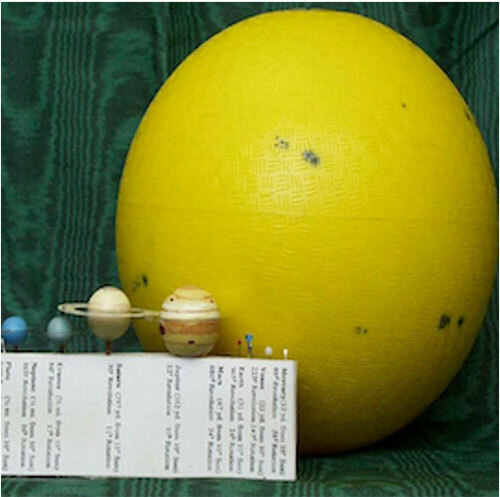 The coinciding lesson plan challenges students to use geometry and simple physics to explain an integral concept that keeps moons, comets, spacecraft and more moving throughout our solar system and universe. Find more ways to bring NASA into your classroom during NASA’s A Year of Education on Station, a yearlong celebration of a teacher aboard the International Space Station. Join the NASA STEM Educator Professional Development Collaborative at Texas State University for a free 60-minute webinar. 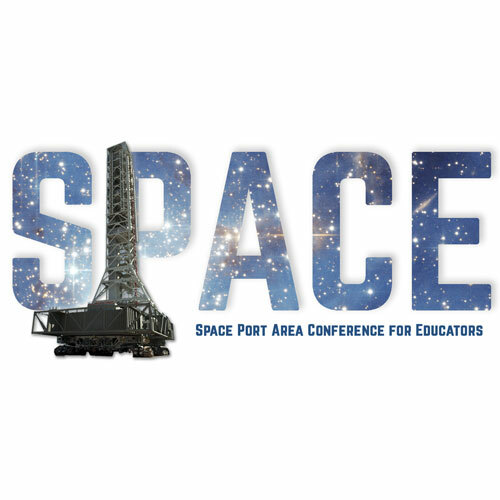 Participants will get an overview of the Digital Badging platform used by NASA Educator Professional Development Collaborative to deliver free, asynchronous, online professional development. Discussion will include how to sign up and a survey of current badge offerings. Online registration is required. Join the NASA STEM Educator Professional Development Collaborative at Texas State University for a free 60-minute webinar. Learn about NASA’s plan to go “Back to the Moon and on to Mars” and how radiation impacts planning for the trip. Participants will also learn about current research at NASA’s Armstrong Flight Research Center. Online registration is required. Join the NASA STEM Educator Professional Development Collaborative at Texas State University for a free 60-minute webinar. 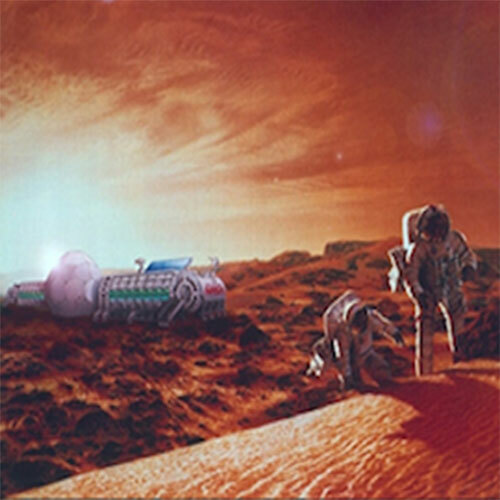 As humans journey back to the Moon and on to Mars, there are many factors to consider for sustaining life support during each mission. Explore NASA STEM life science classroom lessons, online resources and teaching strategies that bring the journey to the Moon and Mars alive in the classroom. Online registration is required. Join the NASA STEM Educator Professional Development Collaborative at Texas State University for a free 60-minute webinar. Explore the engineering design process as it applies to NASA’s journey back to the Moon and on to Mars. This webinar will showcase NASA STEM engineering design challenges that help students understand the process of designing and launching a mission to land on the Moon and Mars. Online registration is required. Join the NASA STEM Educator Professional Development Collaborative at Texas State University for a free 60-minute webinar. 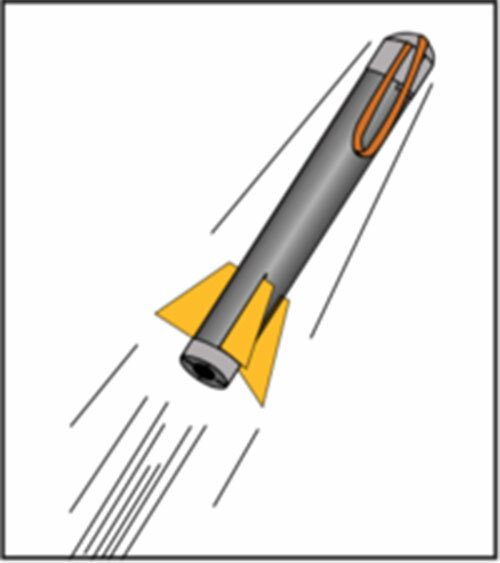 Participants will get an overview of NASA’s “Rockets” educator guide and ways to use its activities to teach basic principles of force, motion and energy. Hands-on activities showing basic physics will be discussed. The activities explored in this webinar address the Next Generation Science Standards PS2 and PS3. Online registration is required. Join NASA and Future Engineers at the Smithsonian’s National Air and Space Museum for a celebration of space innovation and in-space manufacturing. Hands-on activities and exhibits from NASA Solve, NASA Education, NASA In-Space Manufacturing and more will be located in the Space Race gallery. Join the Smithsonian’s National Air and Space Museum for this fast-paced webcast that will feature a live downlink with the International Space Station. Winners of the Future Engineers “Two for the Crew” design challenge, along with other preselected students, will ask questions live to NASA astronaut Serena Auñón-Chancellor as she orbits 250 miles above Earth. The downlink will take place around 10:30 a.m. EDT. NASA is currently accepting applications for fall 2018 internships. Students should complete applications as soon as possible to increase the possibility of selection. Offers will be extended throughout the month of June. The fall semester is 16 weeks long; internships begin in late August or early September, depending on the location. 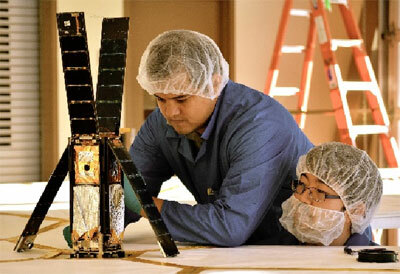 NASA Internships provide students at all types of institutions access to a portfolio of opportunities offered agencywide. 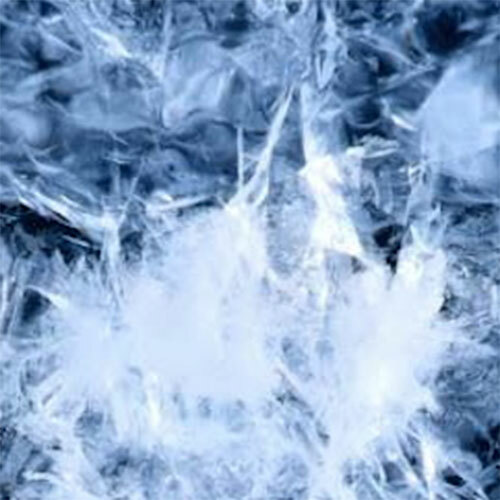 Water continuously circulates through one of Earth’s most powerful systems: the water cycle. 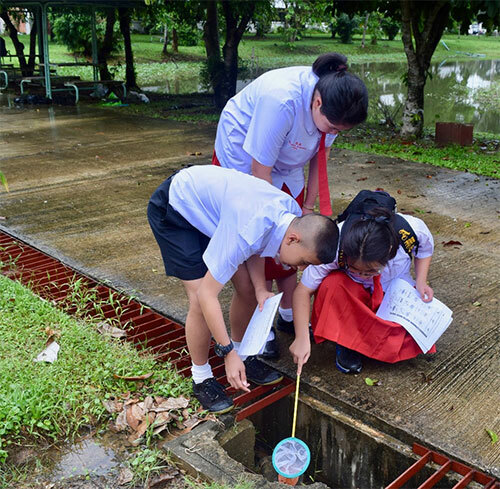 Join GLOBE for its latest campaign that uses a set of guiding investigative questions to enable students to meaningfully explore water in their local environment and collaborate to consider the influence of water on a global scale. The project is flexible, allowing teachers to choose between many options to involve their students. 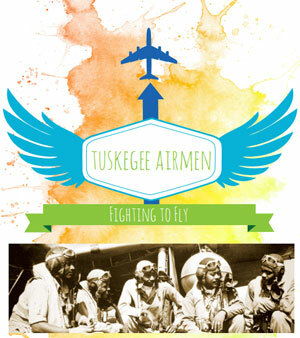 Visit the site for details about the project and upcoming informational webinars. 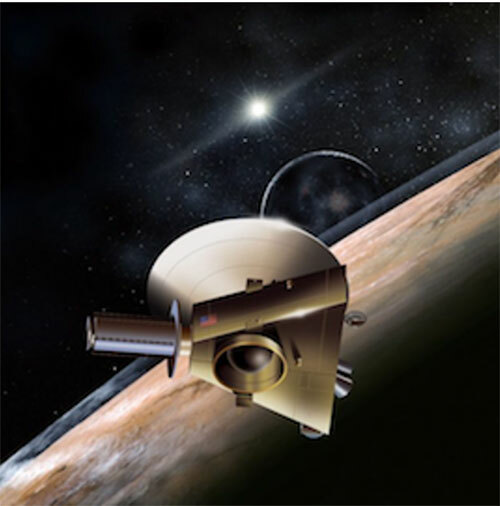 Join NASA’s Beginning Engineering, Science and Technology educators for a free 60-minute professional development webinar. 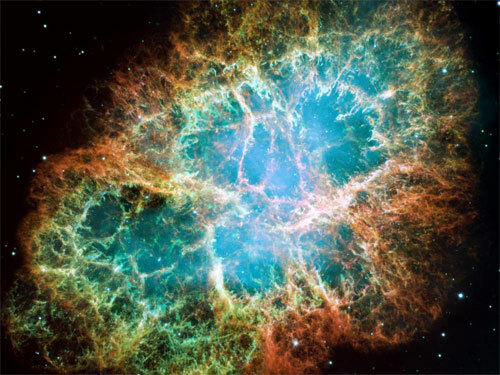 Find out how NASA is using atoms to have precise accounting of time. With NASA’s “BEST Atomic Clock Activity Guide,” participants will explore the engineering design process to demonstrate the importance of calibration of clocks. Learn how to incorporate engineering challenges and the engineering design process into your science program. Register online to participate. Bring the history of American aviation to life in your classroom with a new series of leveled readers from NASA’s Aeronautics Research Mission Directorate. Available in three versions with increasing levels of text complexity, the stories highlight the accomplishments of famous and historical aviators, promote STEM careers with contemporary NASA aeronautics personnel, and acknowledge milestones in American aviation. All three versions are artfully designed and free to download with teacher guide and assessment options. 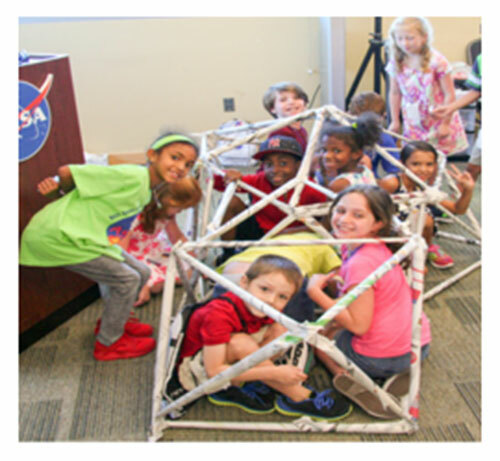 ASTRO CAMP® is a series of weeklong summer camps held at NASA’s Stennis Space Center in Mississippi. At ASTRO CAMP, learners in grades 2-10 engage in fun, hands-on educational activities related to NASA’s missions. Students learn the basics of engineering, rocketry and robotics; they end the week with tours of Stennis facilities and a model rocket launch. Camp dates are filling fast! Visit the site to get full details and register. ASTRO CAMP also is collaborating with organizations across the Gulf and in Atlanta for 40+ community-based camps. For “ASTRO CAMP® In the Community” locations, click here. The Community camps process their own registrations. Please contact those camps directly. 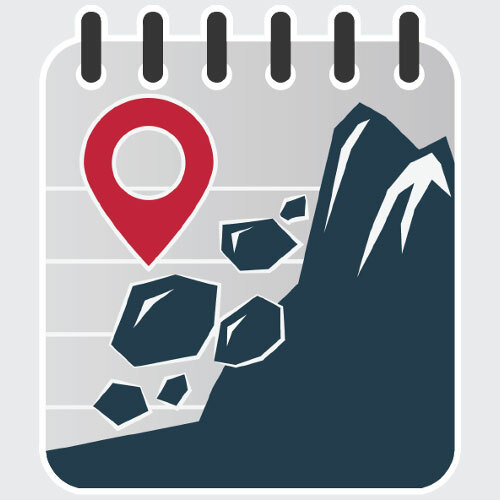 NASA spacecraft travel to far-off destinations in space, but a new mobile app from NASA’s Jet Propulsion Laboratory brings spacecraft to you! 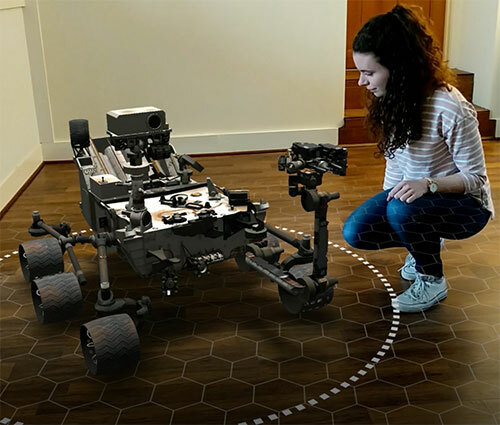 The new app, called Spacecraft AR, uses the latest augmented reality (AR) technology to put virtual 3-D models of NASA’s robotic space explorers into any environment with a flat surface. Download the new app to explore and snap pictures with 3-D rovers, space probes and more! Got a Space Question? Ask an Astronaut! 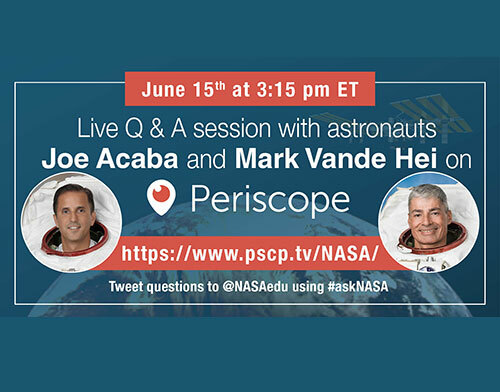 #TeacherOnBoard Joe Acaba and Mark Vande Hei are back and ready to answer your questions! Join in on “Periscope” as they talk about STEMonstrations, Year of Education on Station and all the great resources available for educators on the NASA education website. Tweet your questions to @NASAedu using #askNASA before the event, then log on to see if your questions will be answered. You can watch the event live at 3:15 p.m. EDT on the NASA Periscope page. 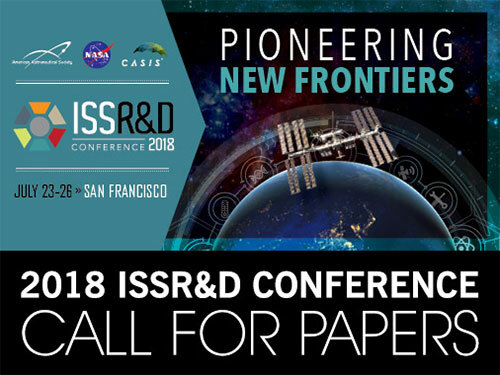 Join NASA’s Science Mission Directorate and SmartSparrow for the Learning Innovation Summit 2018 taking place at NASA’s Ames Research Center in California. This daylong event will cover innovations in education and education technologies. 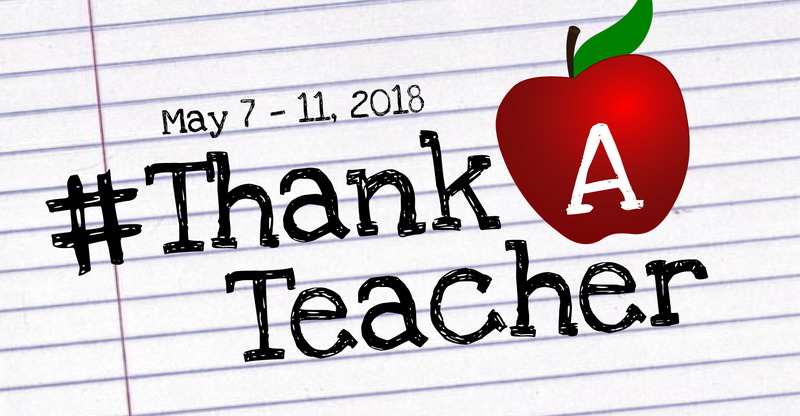 Educators nationwide will share real, repeatable practices. The event will feature hands-on demonstrations, breakout workshops, panels and keynote speakers. 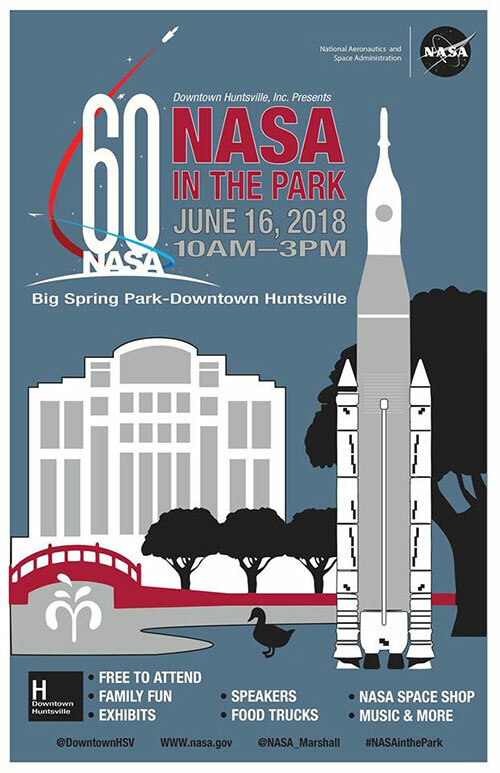 Join NASA’s Marshall Space Flight Center in Huntsville, Alabama, for NASA in the Park. The free event will showcase work being done at Marshall, as well as exhibits, demonstrations, live music, food trucks, educational activities and games for all ages. This event will take place at Big Spring Park in downtown Huntsville. Join the NASA STEM Educator Professional Development Collaborative at Texas State University for a free 60-minute webinar. 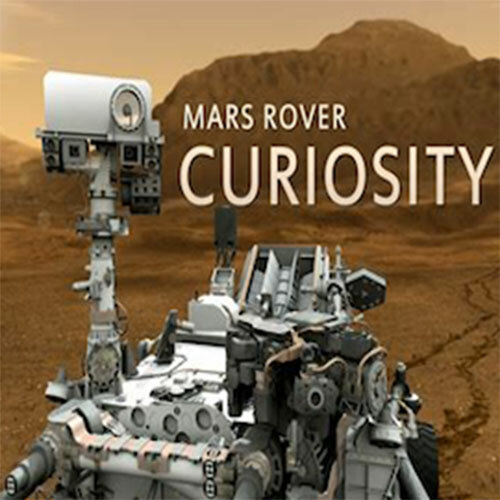 Participants will get a survey of NASA mathematics resources related to the missions to Mars. Discussion will focus on modification and integration of the activities into existing curriculum. The activities presented in this webinar address multiple standards of the Common Core State Standards for Mathematics. Online registration is required. Join the NASA STEM Educator Professional Development Collaborative at Texas State University for a free 60-minute webinar. Multiple NASA STEM resources will be presented to help educators teach biomimicry, force, motion and coding. 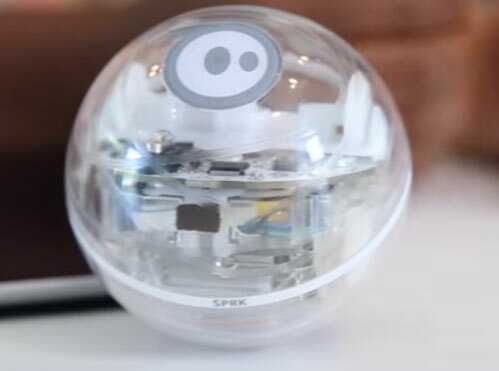 Spheros, small spherical robots, will be used to demonstrate the engineering and math required to understand flying in formation. Online registration is required. Join the NASA STEM Educator Professional Development Collaborative at Texas State University for a free 60-minute webinar. Participants will be introduced to new NASA lessons on light and solar energy. 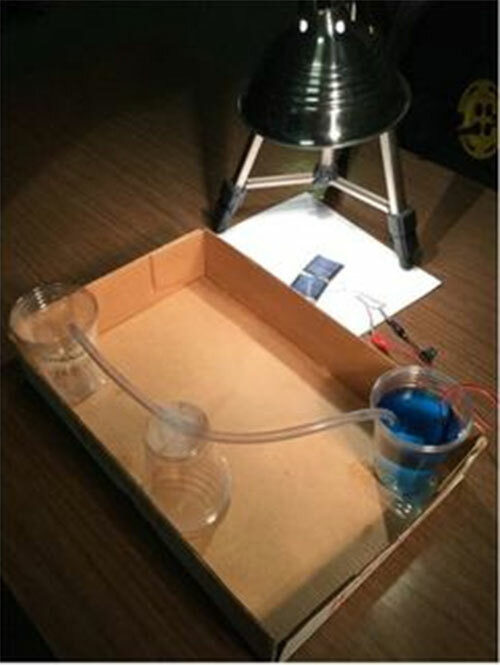 Learn how to guide your students to use the engineering design process to design, build and improve a stand-alone solar powered pumping system to move water between two containers. Online registration is required. Join the NASA STEM Educator Professional Development Collaborative at Texas State University for a free 60-minute webinar. 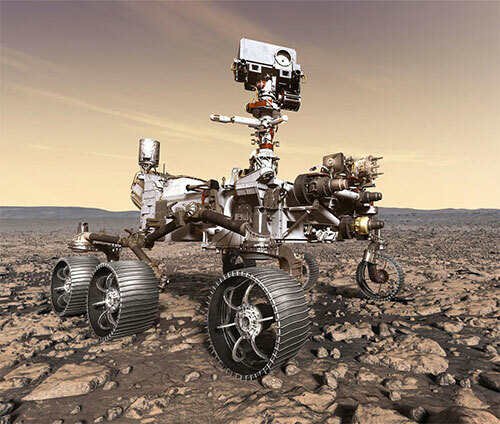 Explore NASA’s “Gaining Traction on Mars” resource filled with engineering design challenges relating to wheels similar to those on the Mars Curiosity rover. Discover preliminary investigations that provide background knowledge and reinforce understanding of the forces that interact to propel a vehicle across a sandbox. Online registration is required. 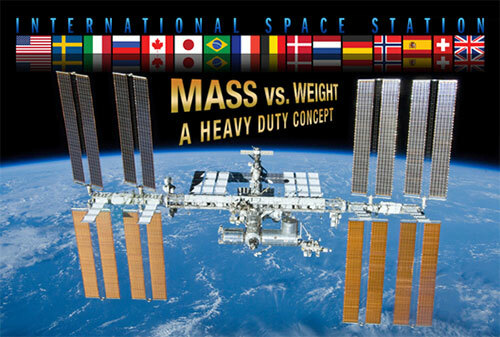 Join the Smithsonian’s National Air and Space Museum for this fast-paced webcast that will feature a live downlink with the International Space Station. 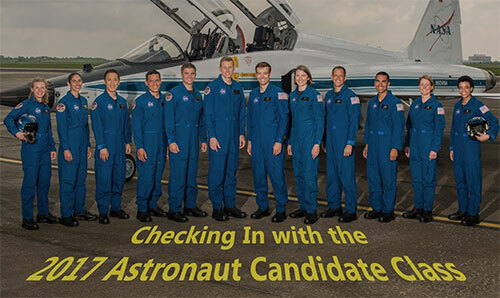 Winners of the Future Engineers “Two for the Crew” design challenge, along with other preselected students, will ask questions live to NASA astronauts Ricky Arnold and Drew Feustel as they orbit 250 miles above Earth. The downlink will take place around 11 a.m. EDT; the exact time will be announced two weeks before the downlink. 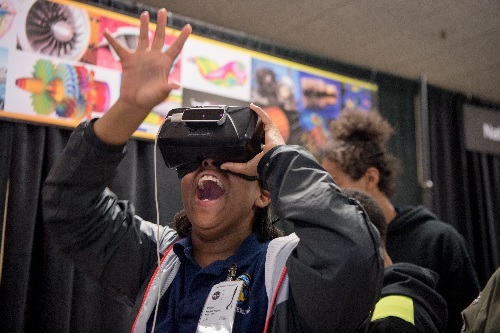 Three informal education organizations have been selected through NASA’s Teams Engaging Affiliated Museums and Informal Institutions (TEAM II) solicitation. The Arizona Science Center (Phoenix, Arizona), Fairchild Tropical Botanic Garden Inc. (Coral Gables, Florida) and Kansas Cosmosphere and Space Center Inc. (Hutchinson, Kansas) will promote STEM learning to inspire the next generation of explorers. 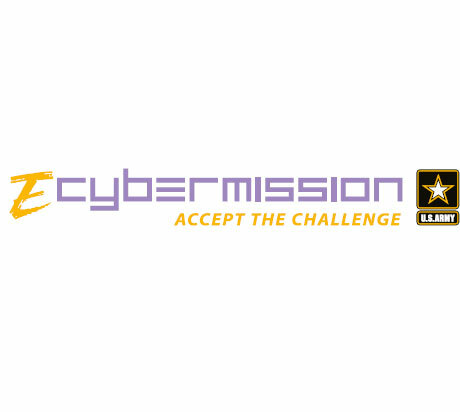 The selected projects provide authentic mission-driven STEM experiences, such as a new immersive STEM game inspired by an “escape room;” traveling exhibitions featuring actual Apollo Mission Control Room consoles and interactive mission simulations; and the world’s first makerspace in a botanic garden, dedicated to NASA’s food production challenges. The organizations will partner with other museums, K-12 and higher education institutions, informal education and maker networks to engage audiences nationwide. NASA’s Glenn Research Center in Cleveland, Ohio, offers 45-minute tours that take tourists behind the scenes to one of the center’s test facilities. 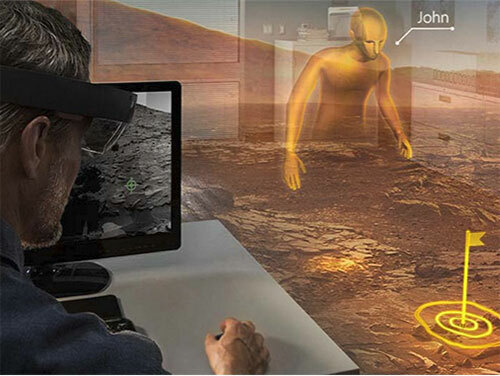 On July 14, check out the Graphics & Visualization (GVIS) Laboratory and the Reconfigurable User-interface & Virtual Reality Exploration (GRUVE) Laboratory to see things a different way. A bus departs from NASA’s main gate every hour beginning at 9 a.m. The last tour departs at noon. RESERVATIONS are required. Multiple sessions will be offered: June 26-27 and June 28-29, 2018 — National Air and Space Museum’s Steven F. Udvar-Hazy Center in Chantilly, Virginia; and July 23-24, 2018 — Sydney, Australia. The National Center for Earth and Space Science Education and the Arthur C. Clarke Institute for Space Education announce Mission 13 to the International Space Station, a community engagement initiative in STEM. 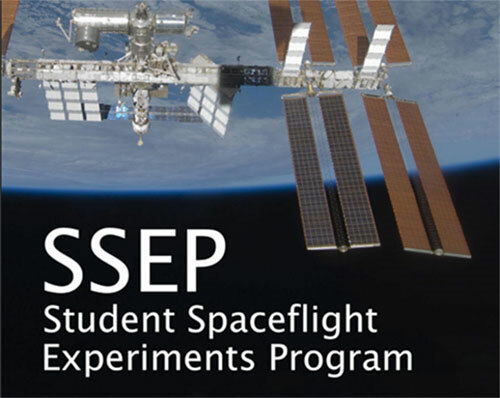 In each participating community, one proposed student experiment is selected to fly in low-Earth orbit on the space station. 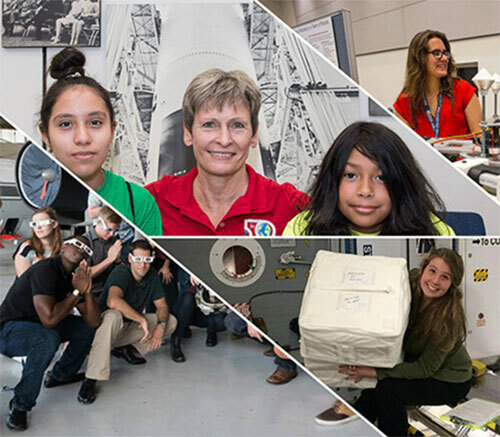 For pre-college grades 5-12, each community is expected to engage at least 300 students in real microgravity experiment design and proposal writing. For an undergraduate community, it is expected that at least 30 students will be engaged. 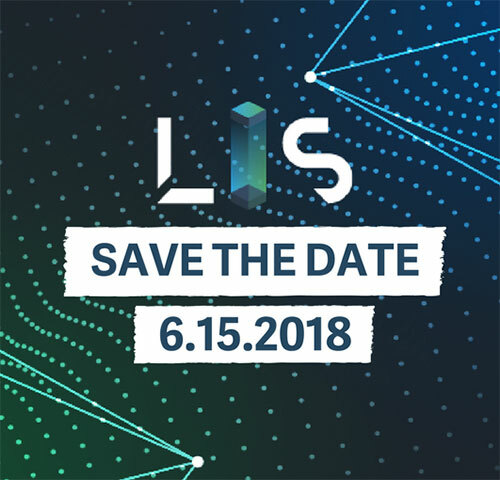 Interested communities must inquire about the program no later than June 15, 2018. 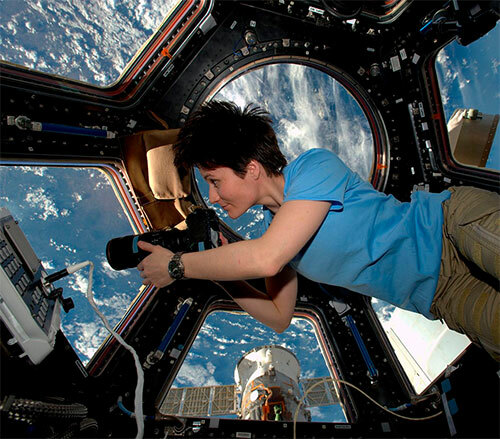 Girl Power on the International Space Station! On June 6, Serena Auñón-Chancellor, along with crewmates Alex Gerst and Sergey Prokopyev, will catch a ride on a Russian Soyuz rocket headed to the International Space Station. Auñón-Chancellor, following in the footsteps of female greats like Peggy Whitson and Kate Rubins, will work alongside her crewmates to make discoveries and expand knowledge for the benefit of humanity. 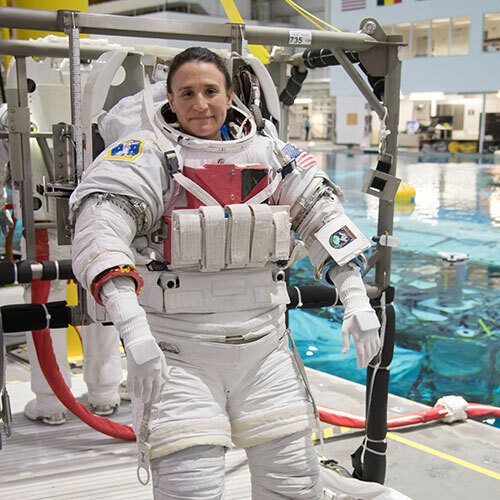 This is a great time to showcase the work of women aboard the space station — starting with this short video featuring Serena Auñón-Chancellor — astronaut, medical doctor, engineer and former martial arts instructor. Join the NASA STEM Educator Professional Development Collaborative at Texas State University for a free 60-minute webinar. 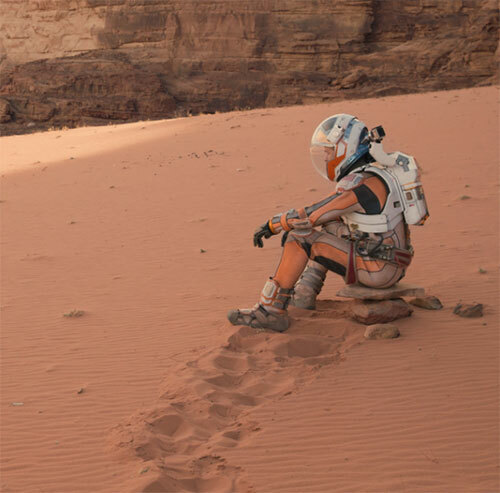 Learn what it takes to move around on Mars and the difference in gravity. 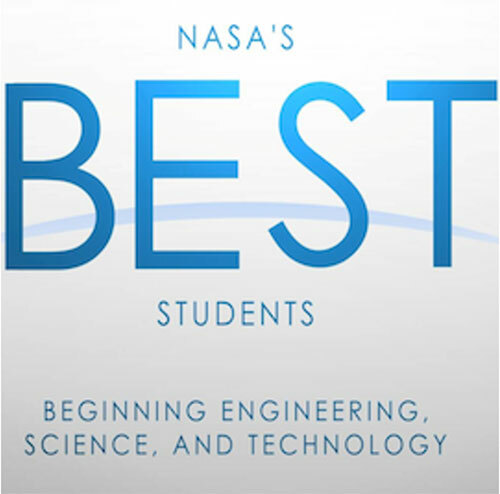 Find out about the NASA Beginning Engineering Science & Technology (BEST) curriculum, and use the engineering design process to create a rover for Mars. This webinar is aligned with the Next Generation Science Standards. Online registration is required. Join the NASA STEM Educator Professional Development Collaborative at Texas State University for a free 60-minute webinar. 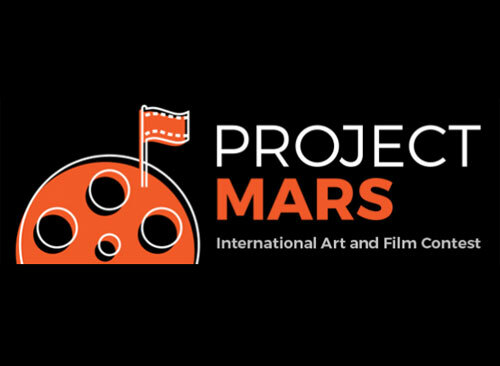 Explore a NASA STEAM-based approach to building a sustainable community on Mars. 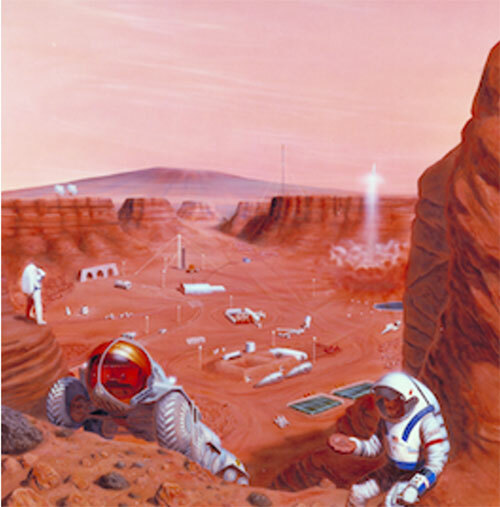 Learn about NASA educational resources that cover building a sustainable community on Mars, considering criteria and constraints in an engineering and design process, while exploring Earth science concepts along the way. Online registration is required. 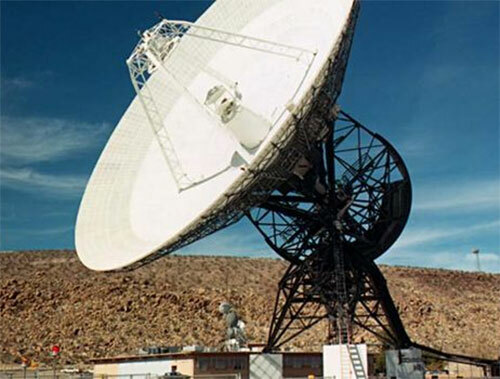 The Goldstone Apple Valley Radio Telescope program lets educators and students operate a 112-foot radio telescope from the classroom. Join the GAVRT team for a two-day institute to learn about radio astronomy and science campaigns available through GAVRT.Four sessions will be offered: June 12-14, 2018 — Columbia Memorial Space Center in Downey, California; June 26-27 and June 28-29, 2018 — National Air and Space Museum’s Steven F. Udvar-Hazy Center in Chantilly, Virginia; and July 23-24, 2018 — Sydney, Australia. 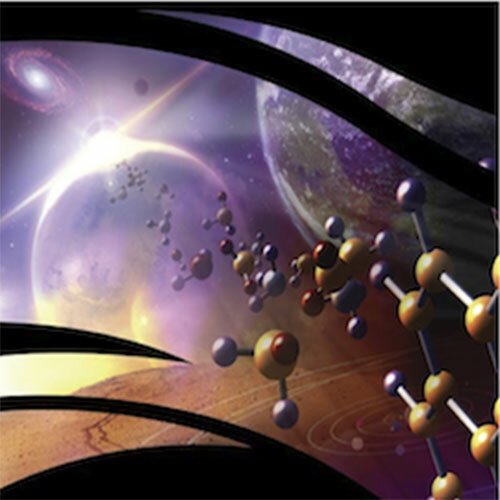 NASA’s Space Technology Mission Directorate seeks research proposals from accredited U.S. universities for promising space technologies that will benefit future NASA space exploration missions. 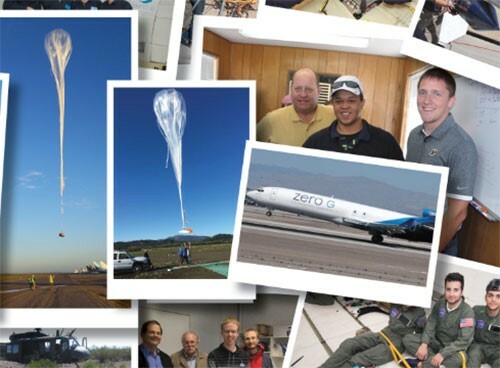 Selected technologies will be flight-tested on commercial suborbital launch vehicles, reduced-gravity aircraft and high-altitude balloon flights. 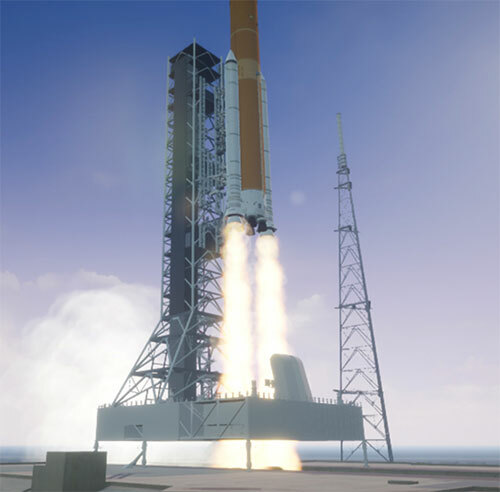 NASA will provide funding for selected universities to purchase flight services and to cover costs related to payload design, development, preparation and travel. ASTRO CAMP® is a series of weeklong summer camps held at NASA’s Stennis Space Center in Mississippi. At ASTRO CAMP, learners in grades 2-10 engage in fun, hands-on educational activities related to NASA’s missions. Students learn the basics of engineering, rocketry and robotics; they end the week with tours of Stennis facilities and a model rocket launch. Camp dates are filling fast! Visit the site to get full details and register.ASTRO CAMP also is collaborating with organizations across the Gulf and in Atlanta for 40+ community-based camps. For “ASTRO CAMP® In the Community” locations, click here. The Community camps process their own registrations. Please contact those camps directly. STEMonstration: The Science of Nutrition! Astronaut Scott Tingle is a big fan of raisins. 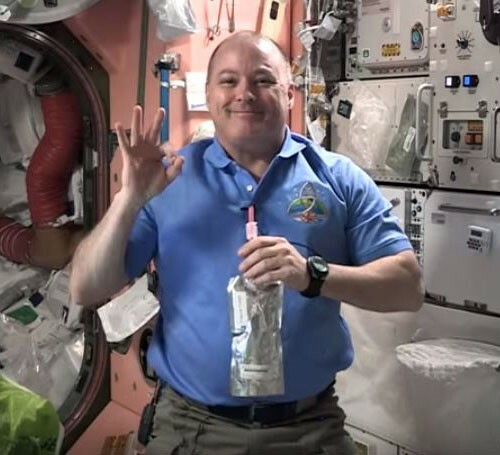 In the latest STEMonstrations episode, he talks about how they are a favorite source of carbohydrates, which help him stay active aboard the International Space Station. Nutrition is key to an active lifestyle on Earth and in space. Do your students wonder how astronauts eat in space? Do they understand the importance of a healthy diet? NASA’s food lab certainly does, and they provide the station crew with healthy meals to keep their mission going. Try this lesson plan that allows your students to build their own astronaut menu! They’ll learn about caloric content and the nutritional value of space food, and even calculate a crew member’s Basal Metabolic Rate. Show the STEMonstration video at https://www.nasa.gov/stemonstrations as Scott shows how microgravity can make food prep a whole new experience.Find more ways to bring NASA into your classroom during NASA’s A Year of Education on Station, a celebration of an almost 12-month presence of a teacher aboard the International Space Station. Join the NASA STEM Educator Professional Development Collaborative at Texas State University for a free 60-minute webinar. 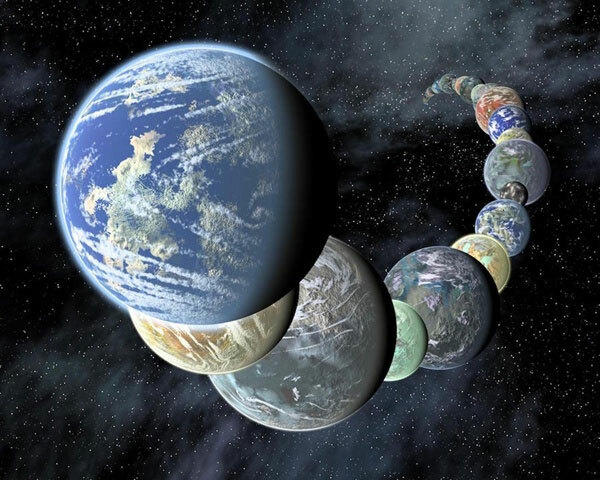 Learn to use real NASA data to explore how telescopes — especially the Kepler and TESS space telescopes — search for planets orbiting stars beyond our Sun. The NASA STEM activities presented investigate how to use telescope data and Kepler’s Third Law to construct graphs and interpret data to determine if a planet beyond our solar system is Earth-like. Online registration is required. Do you want to start a CubeSat program and launch a small satellite? The CubeSat Launch Initiative gives students, teachers and faculty a chance to get hands-on, flight hardware development experience while designing, building and operating small research satellites. This opportunity is open to U.S. nonproﬁt organizations and accredited educational organizations. 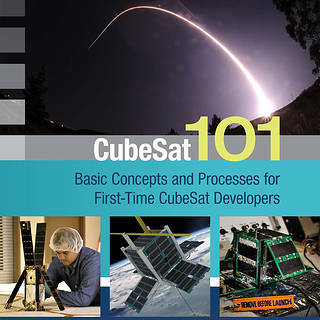 Download the new “CubeSat 101” guide to learn more. In 2017, NASA announced its newest class of astronauts — 12 men and women from across the nation specially chosen to help NASA discover and expand knowledge for the benefit of humanity. Many students perceive astronauts as superhumans who easily master new skills, but the truth is astronauts often struggle with difficult subjects — especially new languages. Check out this short video to hear firsthand from astronaut candidates Raja Chari, Kayla Barron and Loral O’Hara as they talk about their struggle to learn the Russian language. If you know a student wrestling with a difficult task, show them this video and remind them even astronauts have to work hard in school!Find more ways to bring NASA into your classroom during NASA’s A Year of Education on Station, a celebration of an almost 12-month presence of a teacher aboard the International Space Station. Join the NASA STEM Educator Professional Development Collaborative at Texas State University for a free 60-minute webinar. 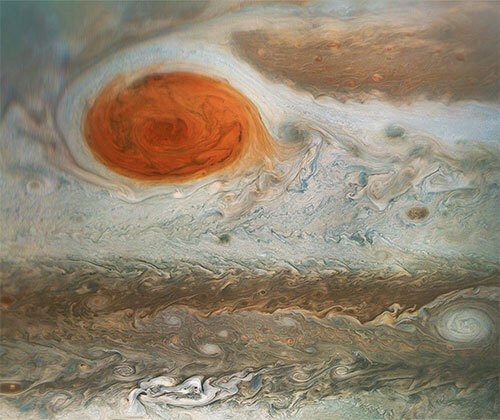 Participants will learn about the solar system and beyond with NASA’s Juno mission to Jupiter. 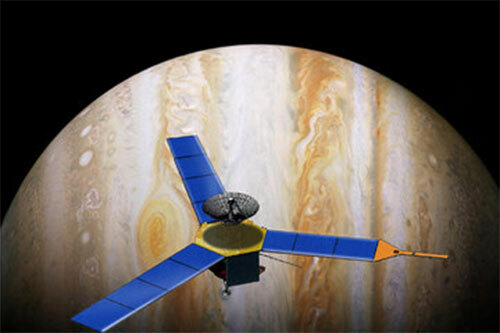 Learn about the Juno mission, which started in August 2011, and hands-on activities related to the solar system. Online registration is required. Join the NASA STEM Educator Professional Development Collaborative at Texas State University for a free 60-minute webinar. The surface of Mars is not welcoming for humans. 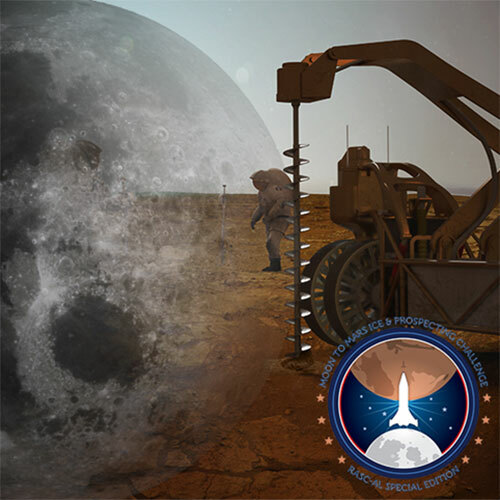 Explore NASA STEM education resources related to habitats, space farming, water recovery systems, spacesuits, rovers, oxygen recovery generators, power sources and astronaut preparation for space. 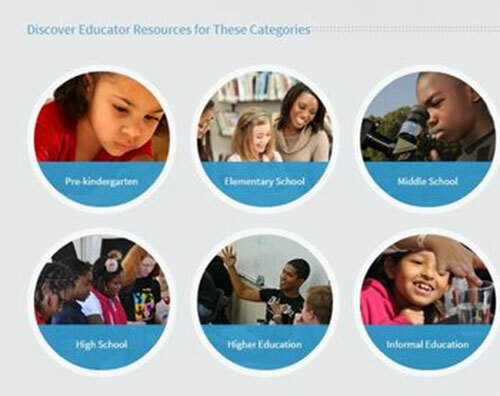 Resources include everything from coloring sheets to opportunities for using authentic data. Online registration is required.